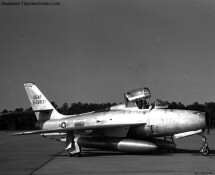 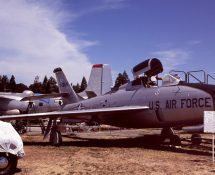 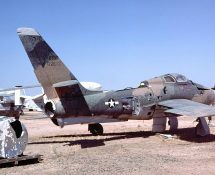 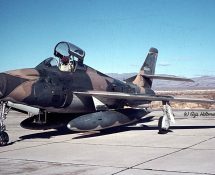 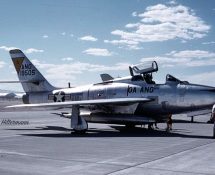 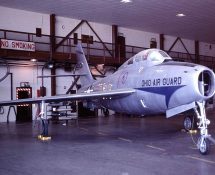 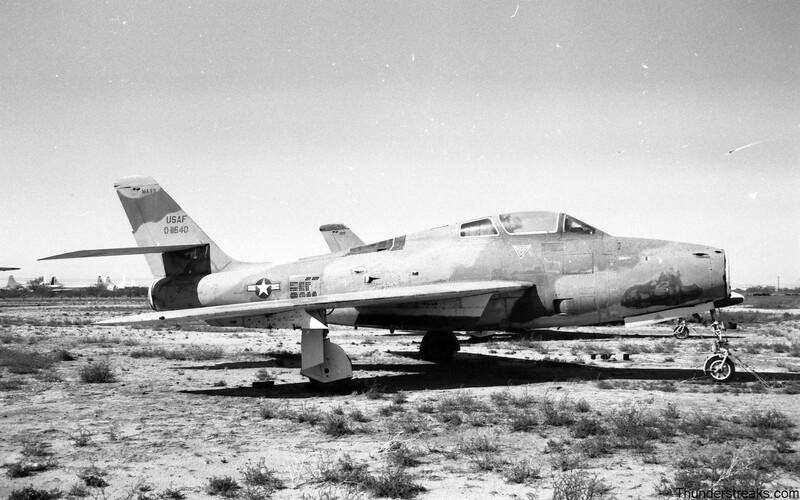 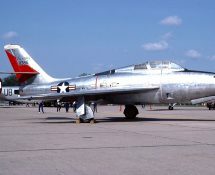 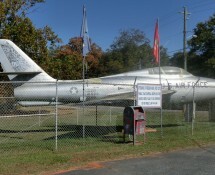 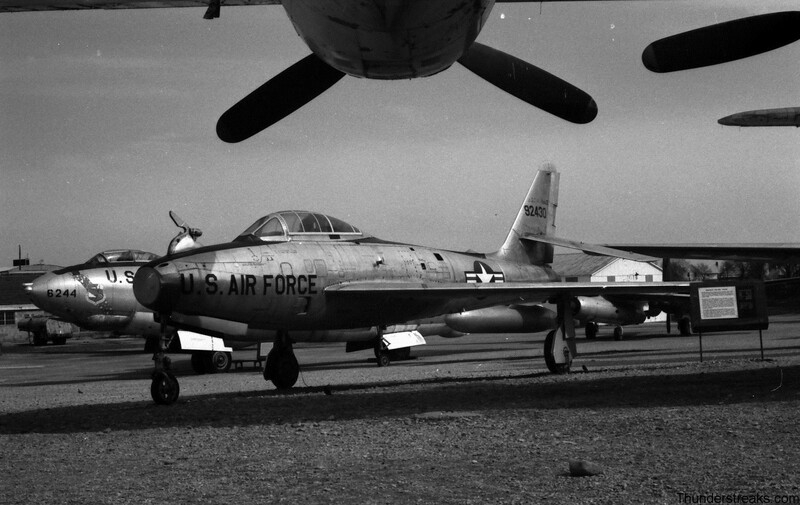 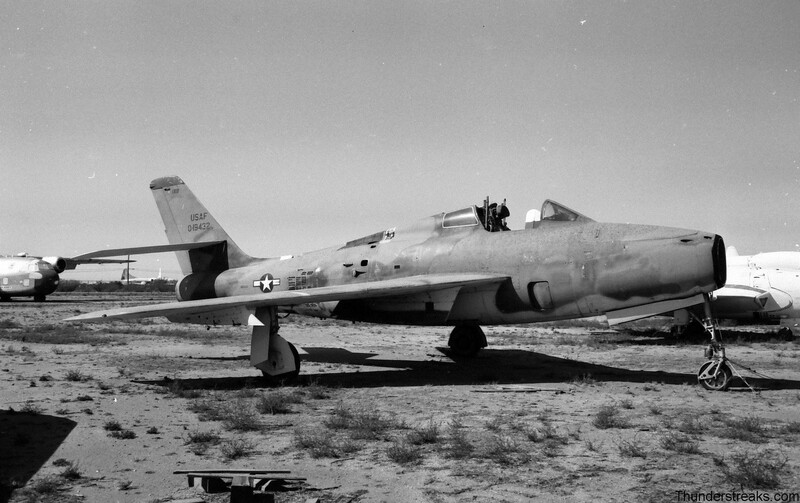 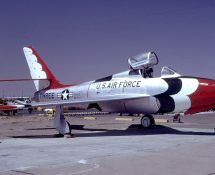 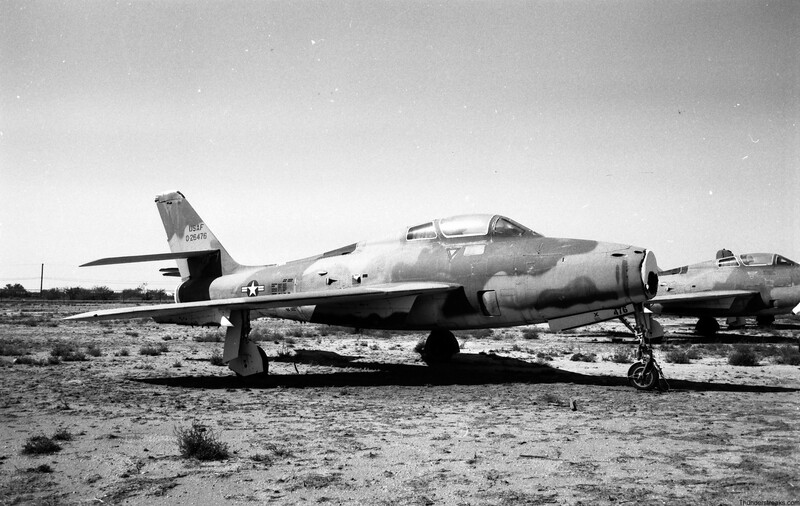 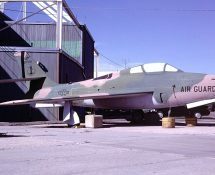 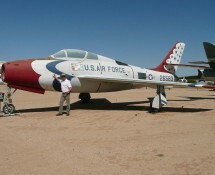 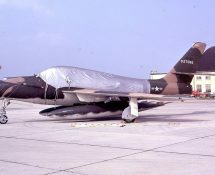 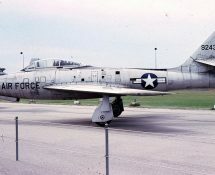 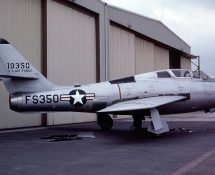 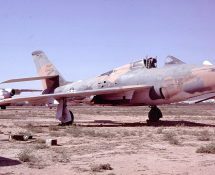 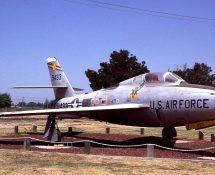 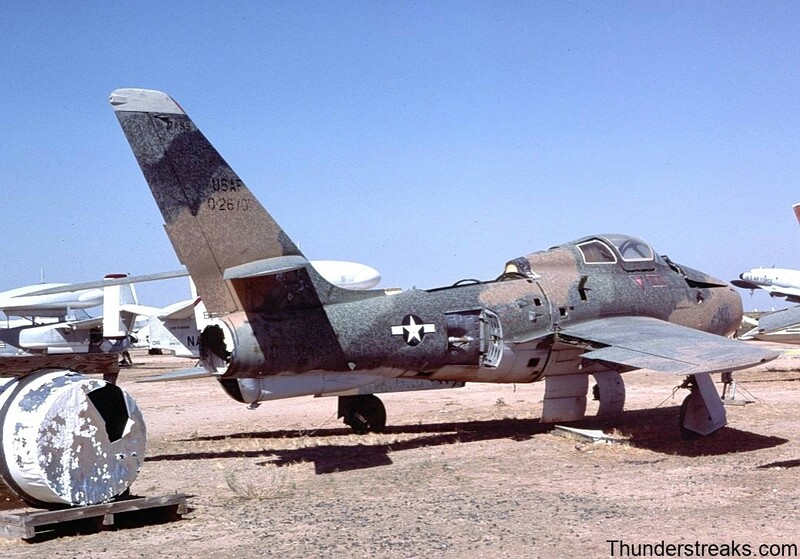 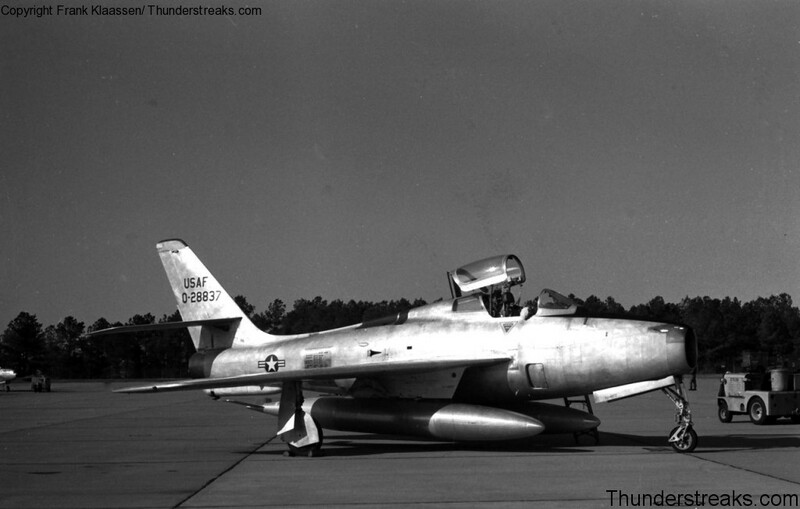 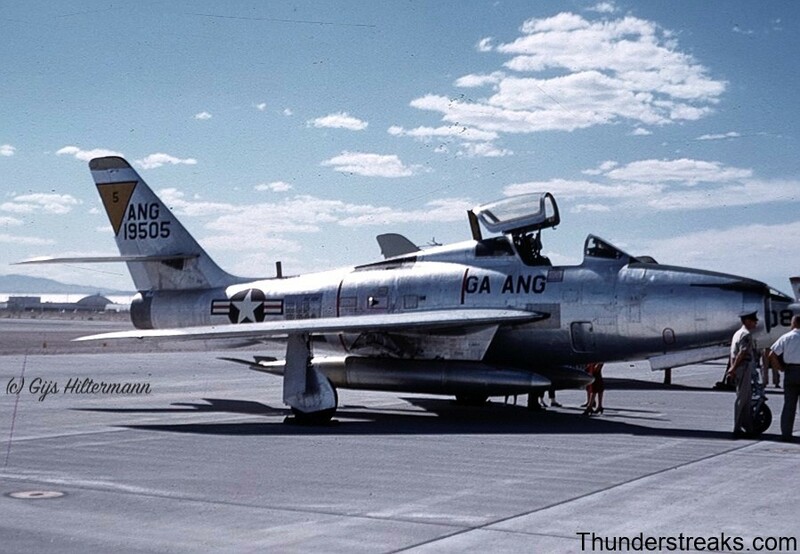 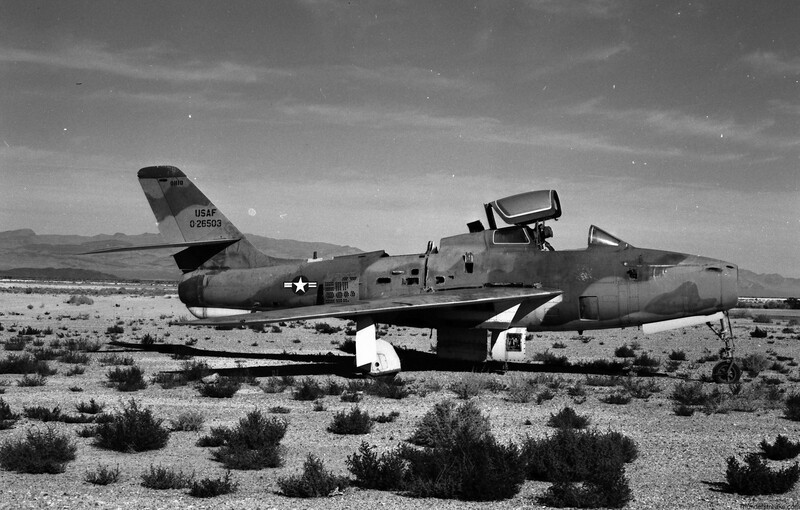 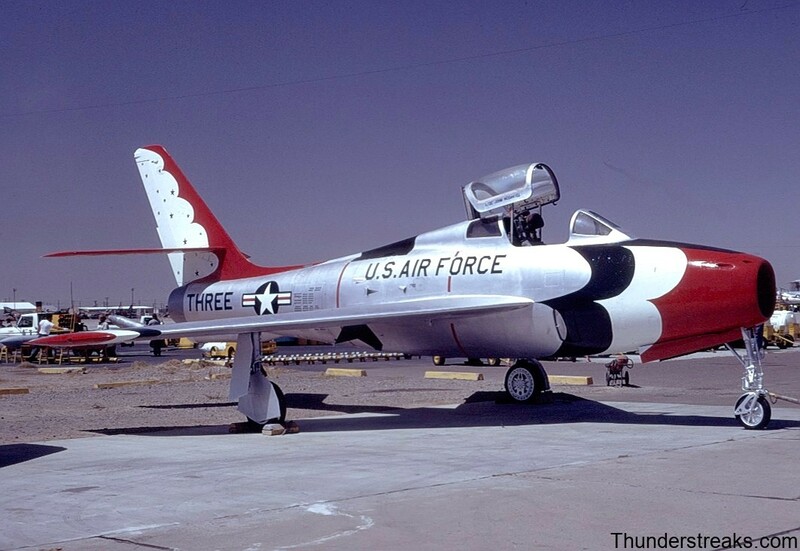 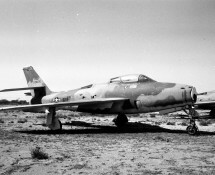 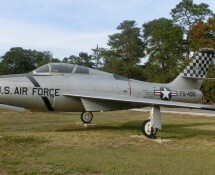 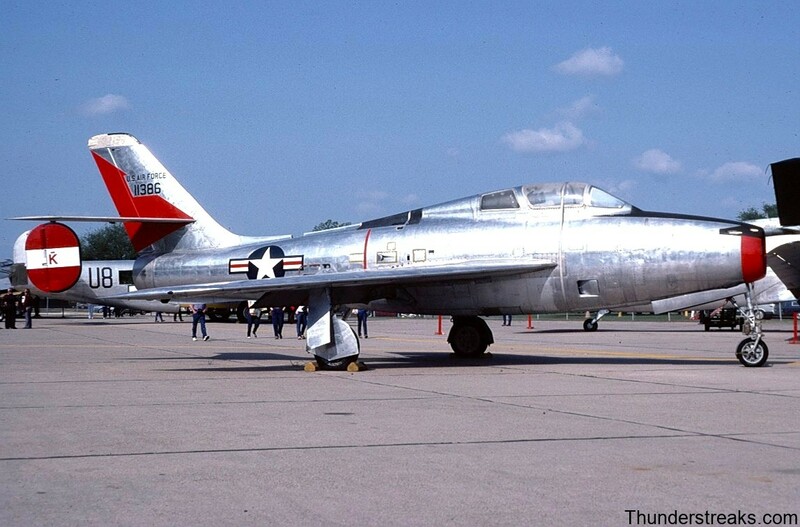 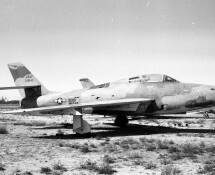 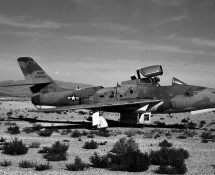 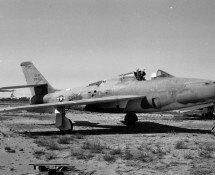 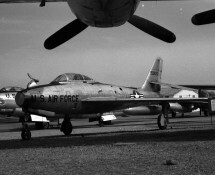 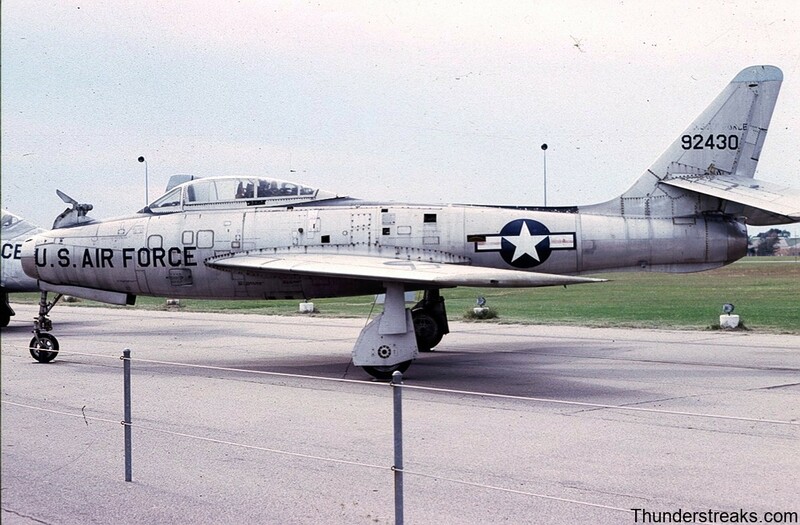 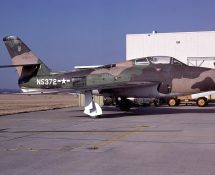 The United States of America had large numbers of Thunderstreaks in its USAF and ANG service; numerous Tactical Fighter Wings (mainly U.S. based, but also in Europe) were equipped with this aircraft. 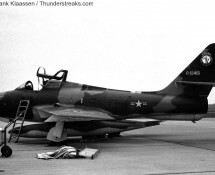 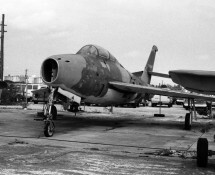 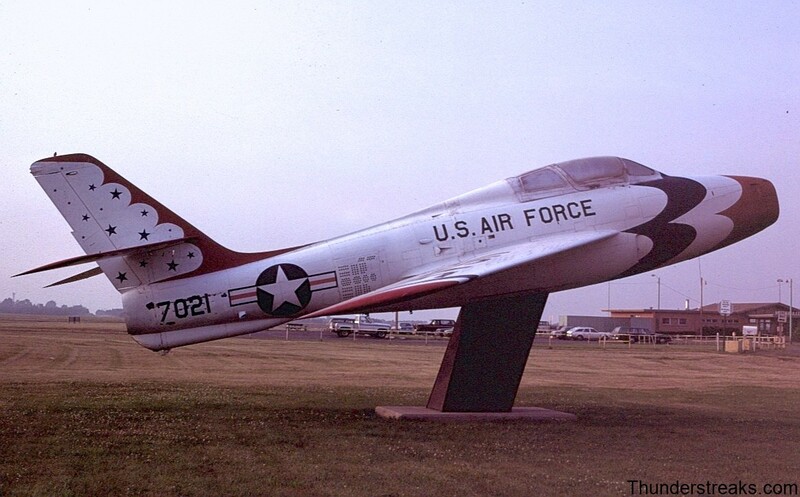 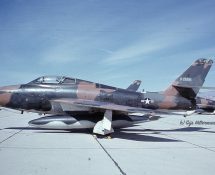 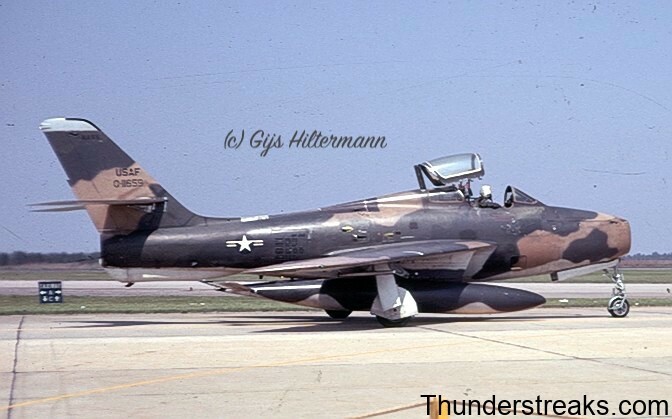 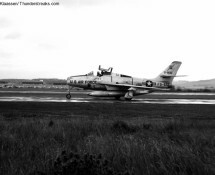 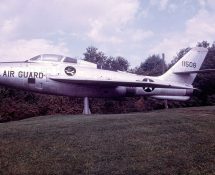 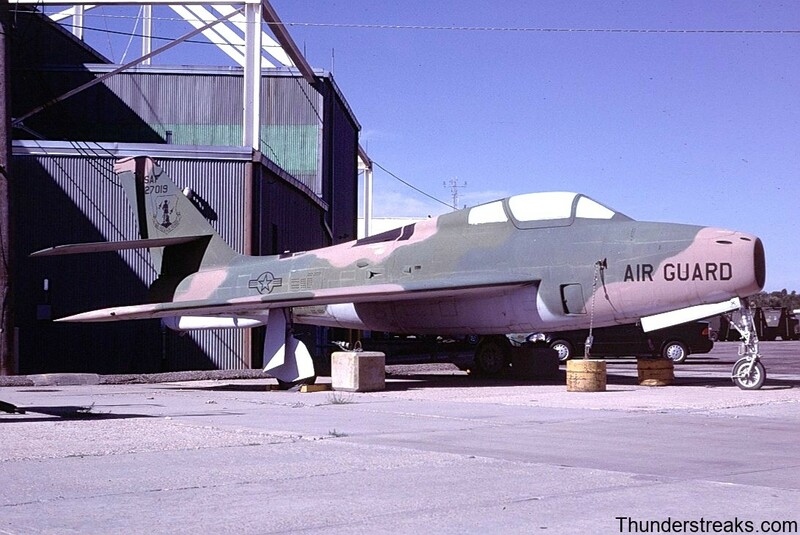 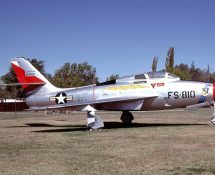 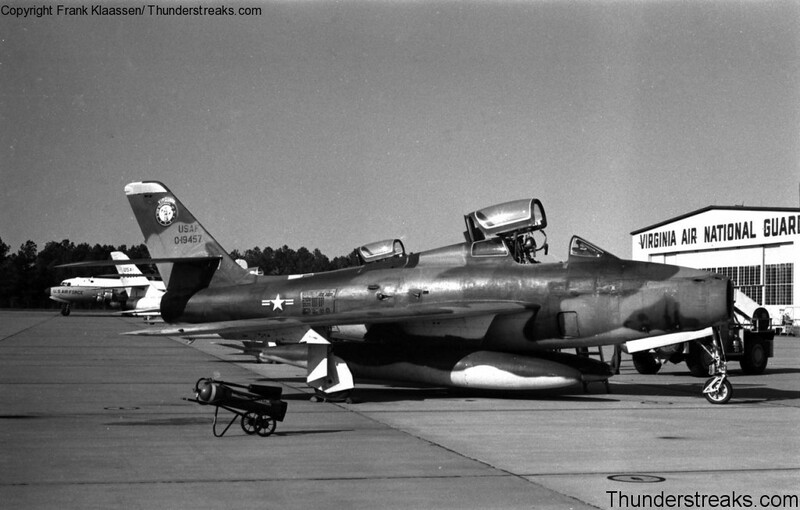 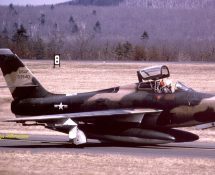 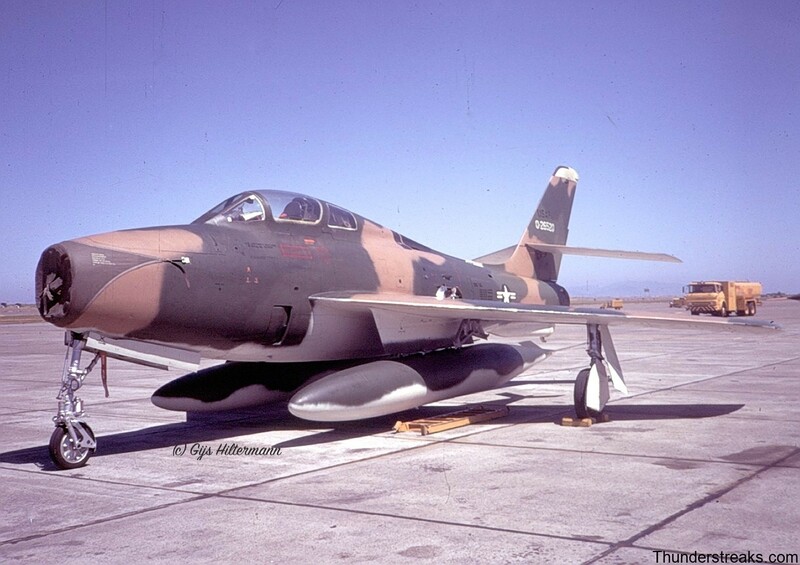 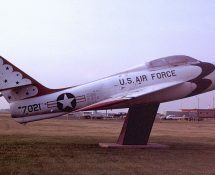 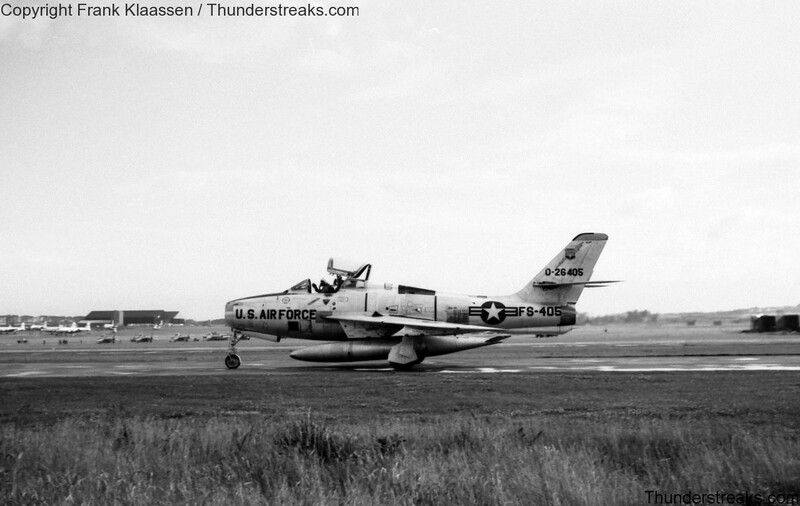 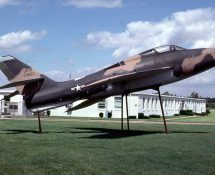 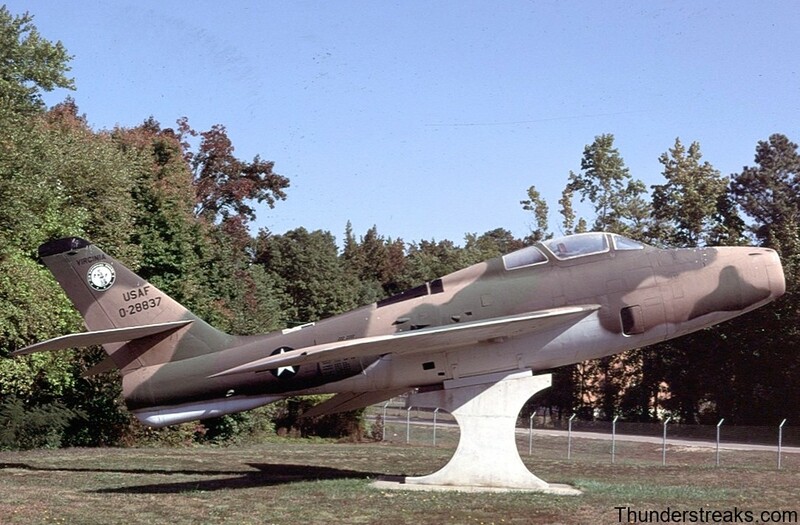 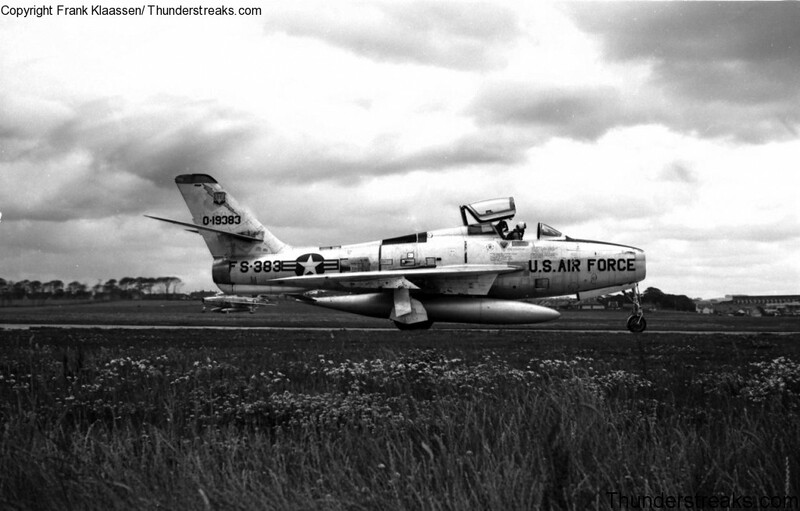 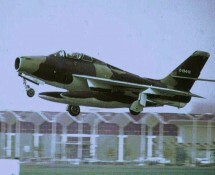 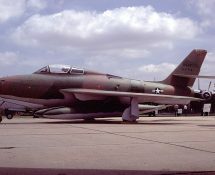 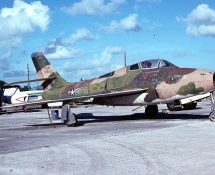 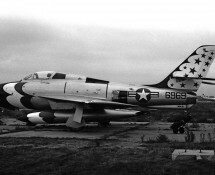 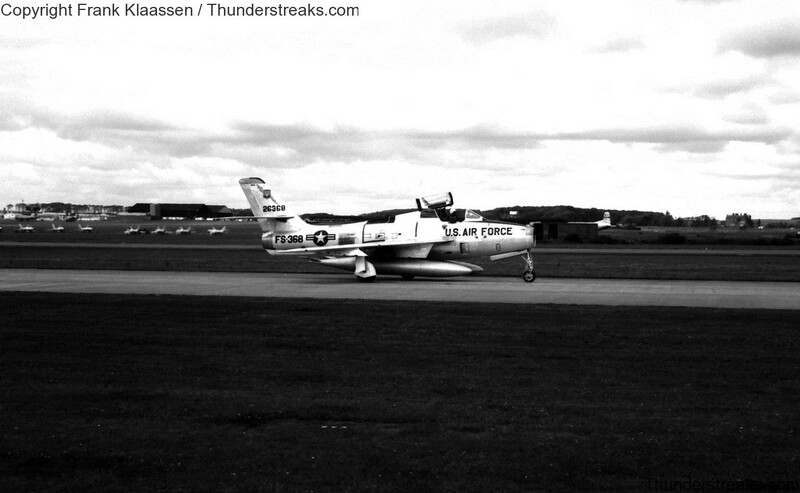 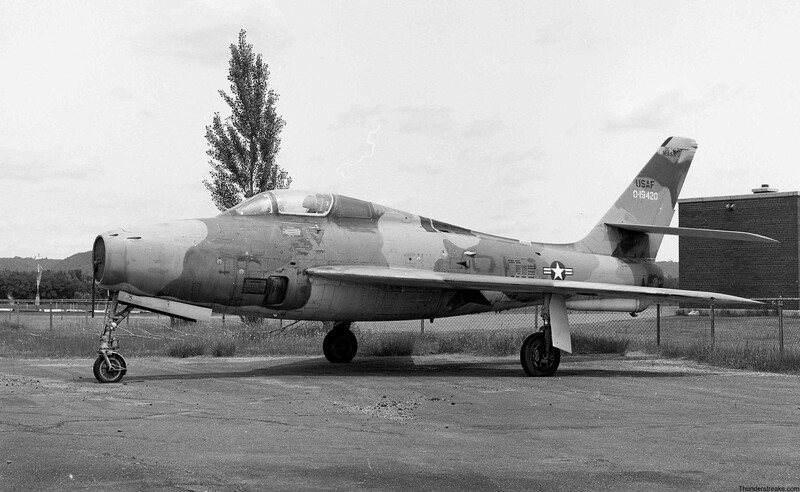 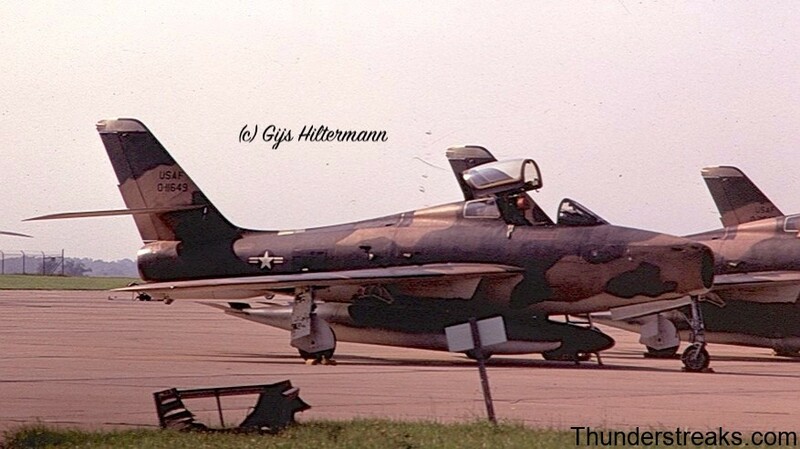 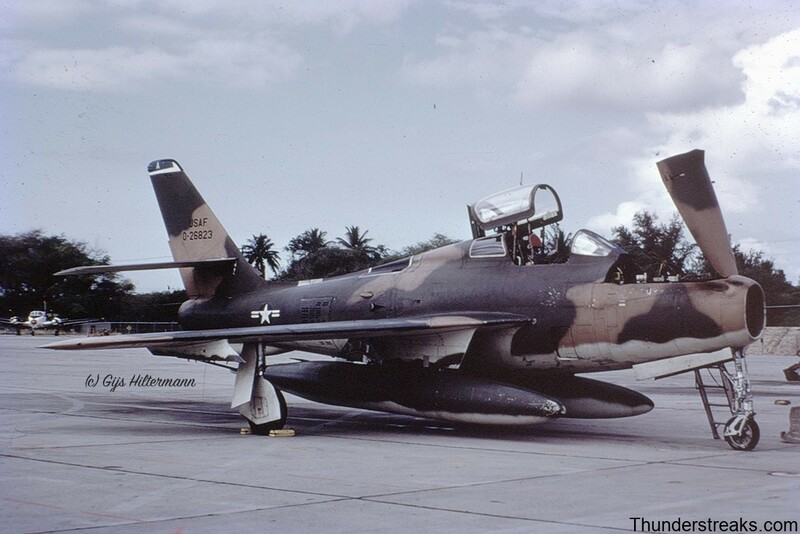 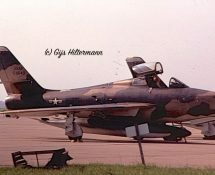 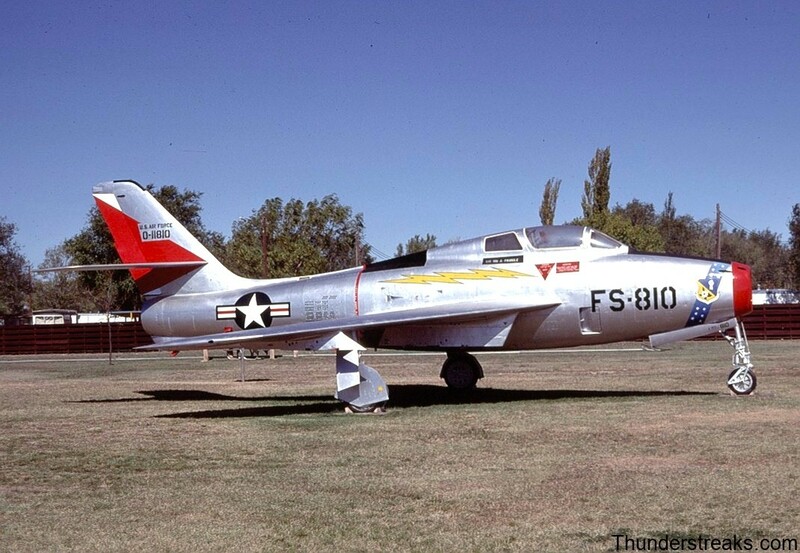 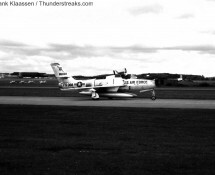 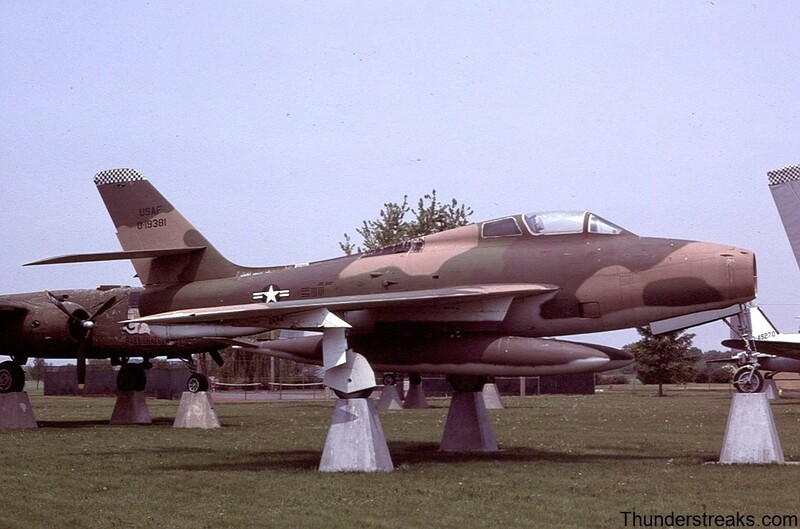 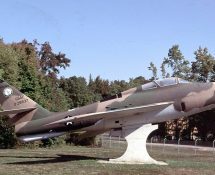 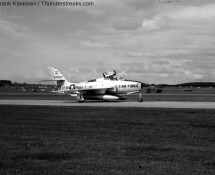 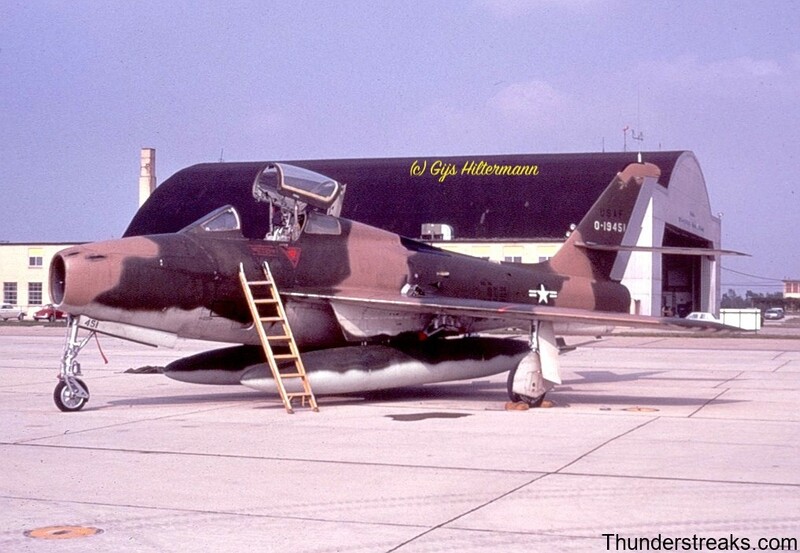 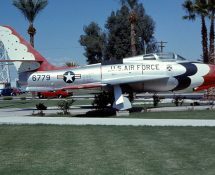 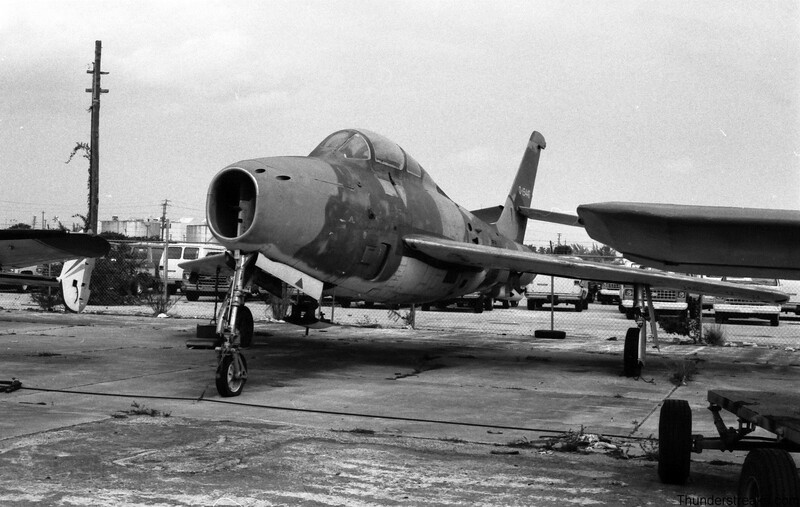 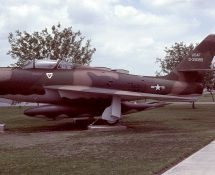 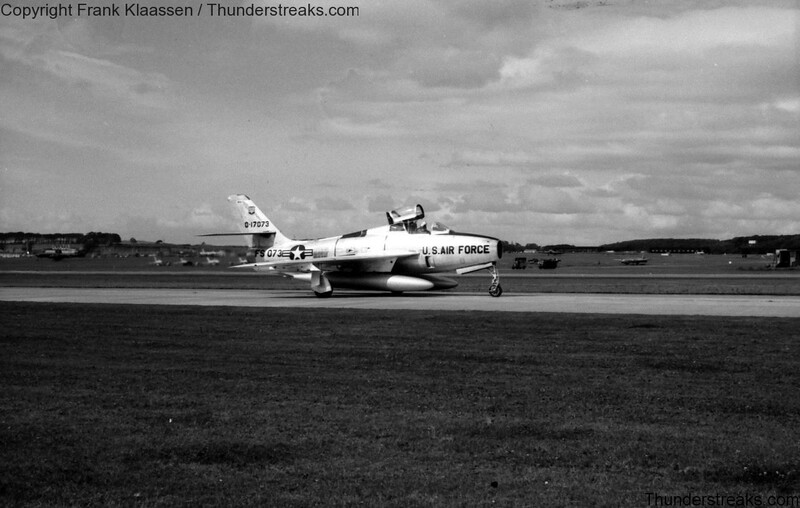 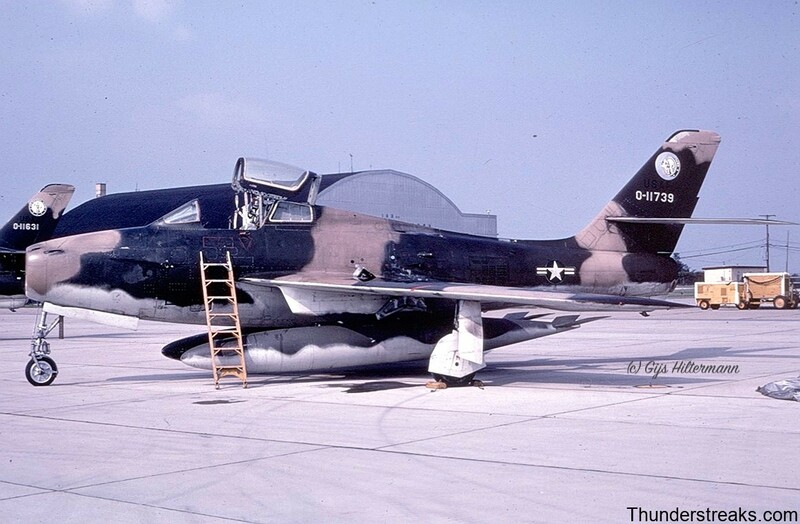 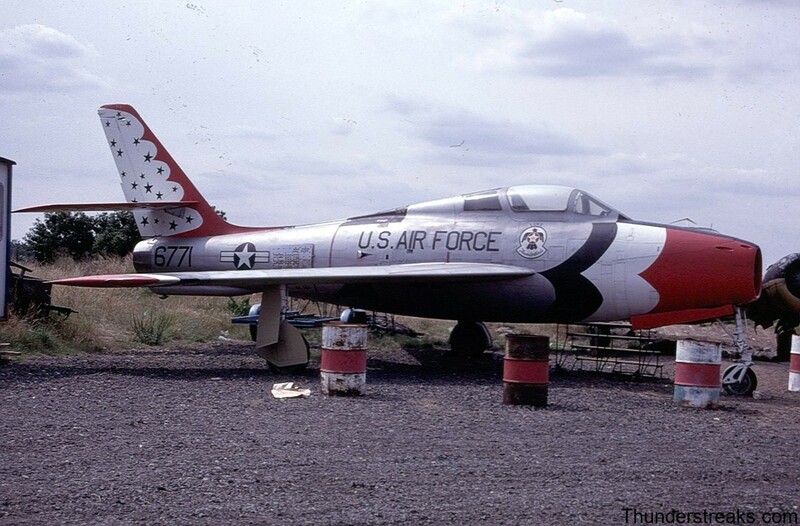 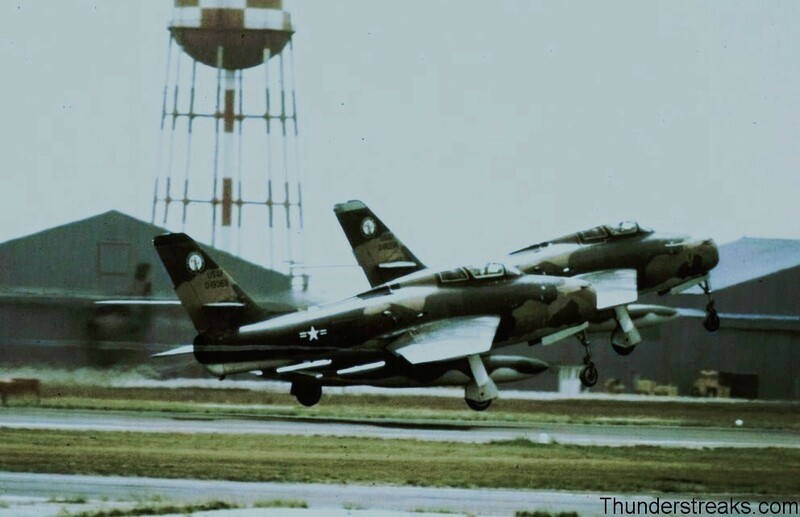 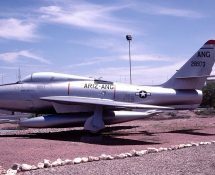 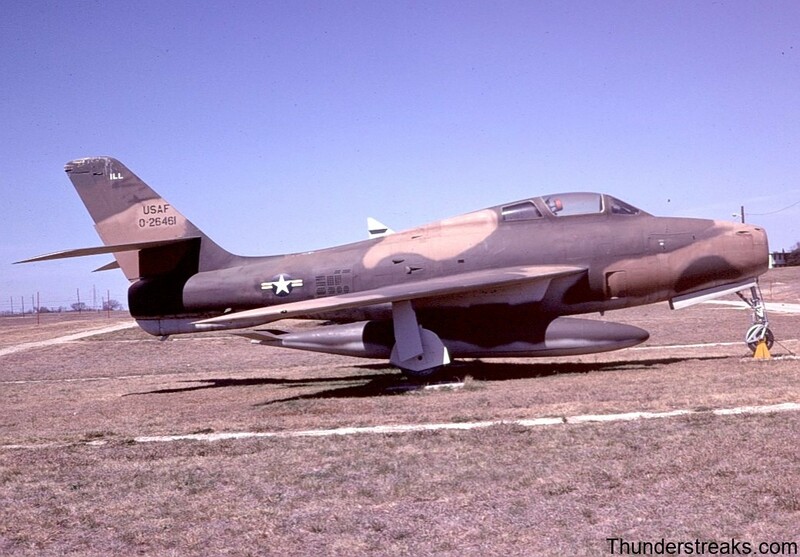 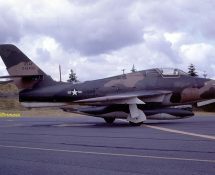 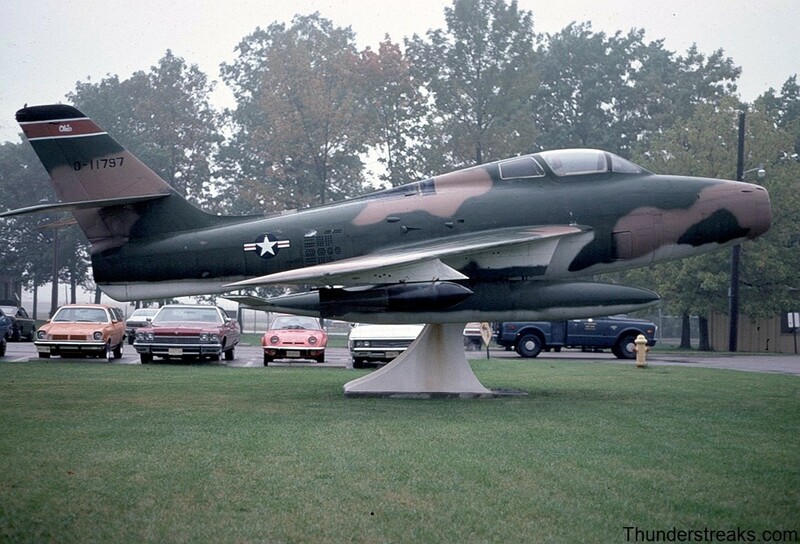 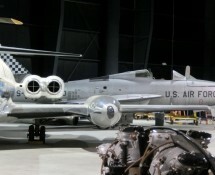 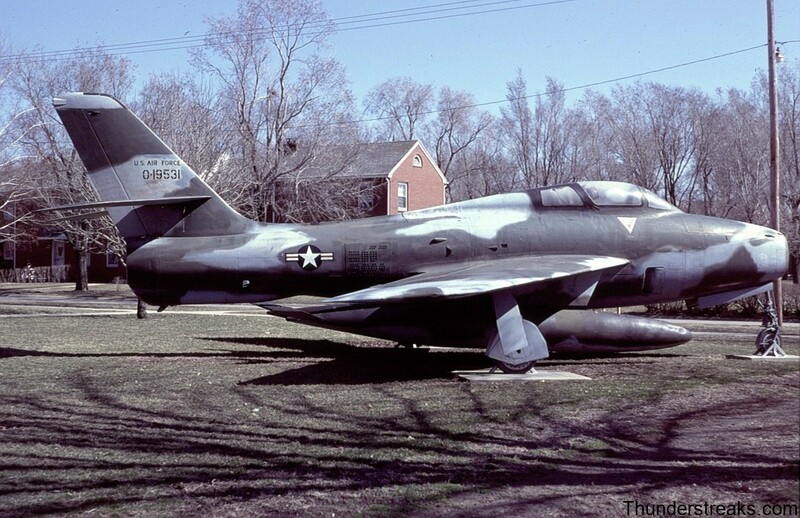 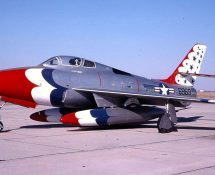 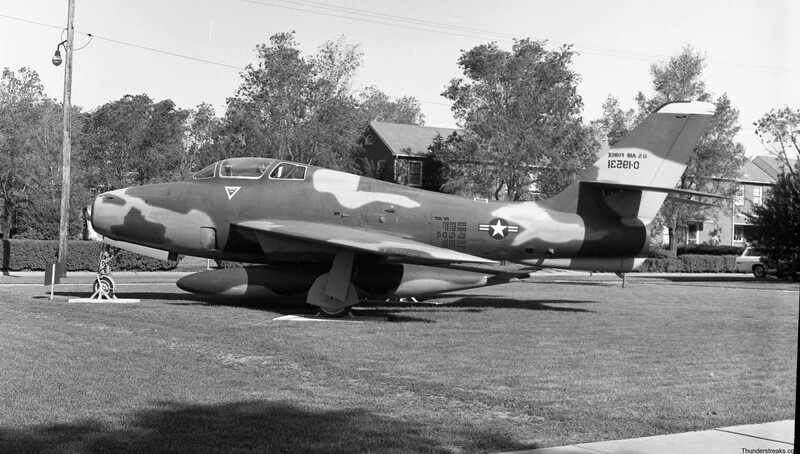 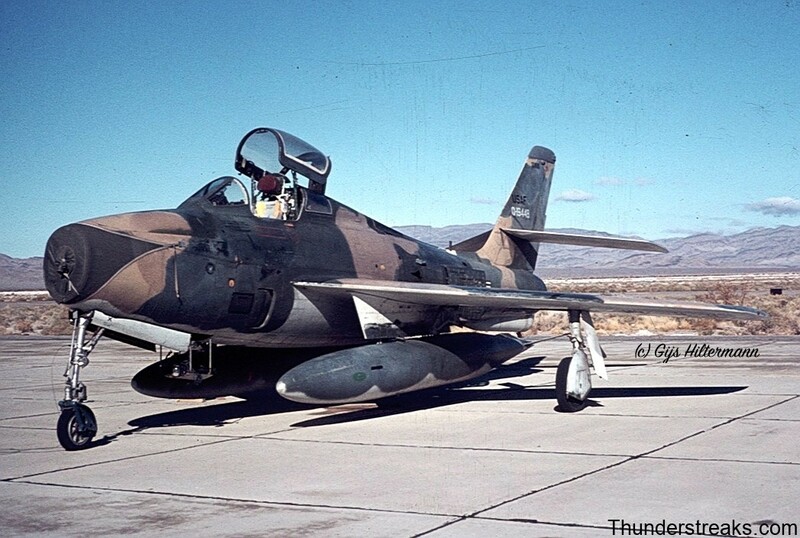 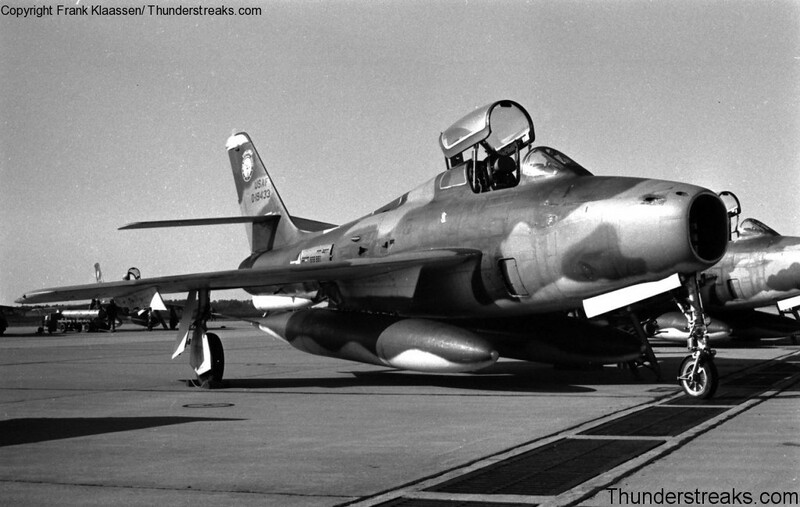 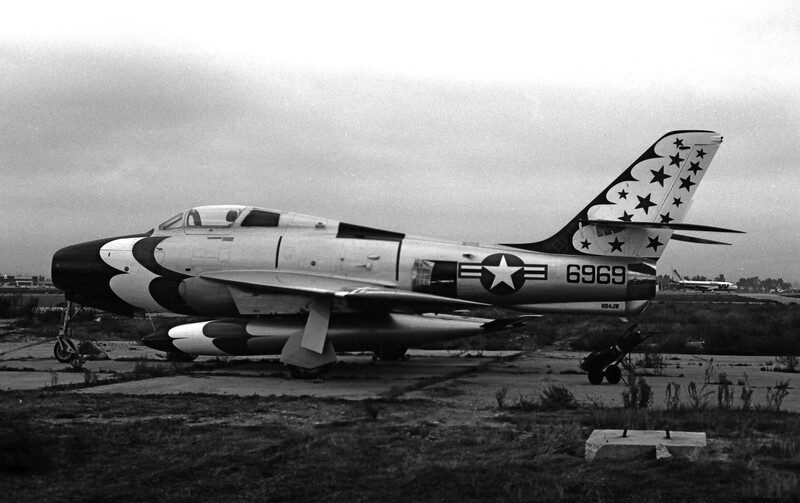 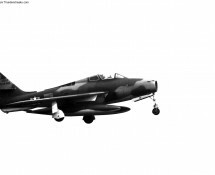 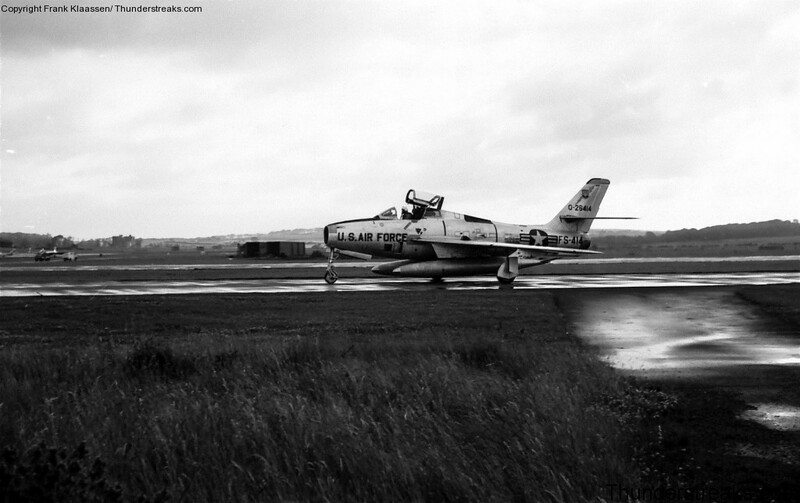 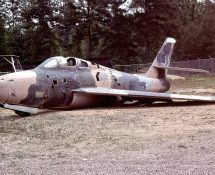 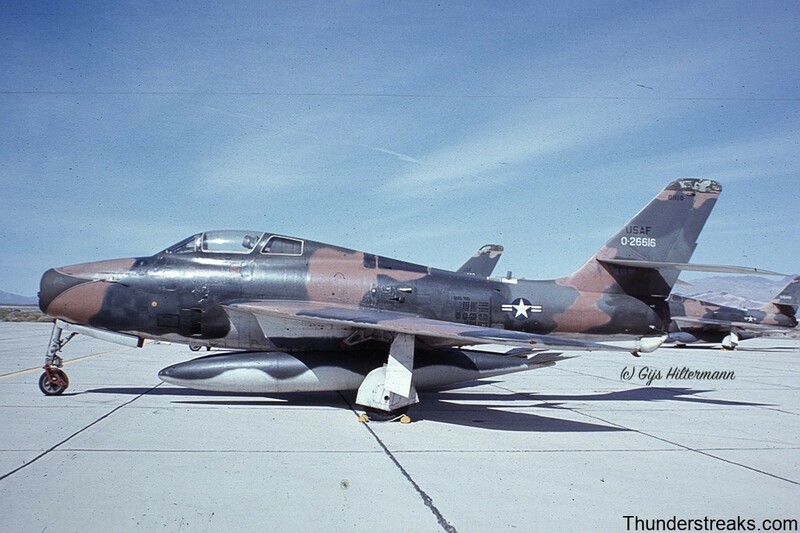 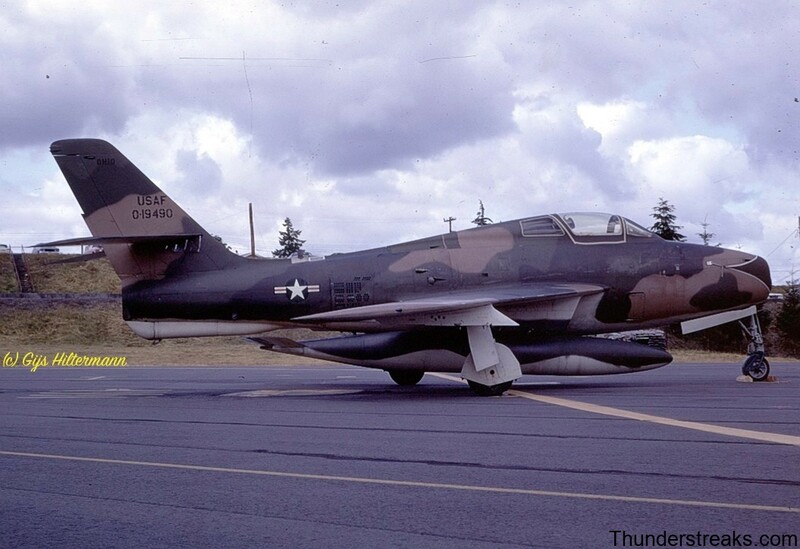 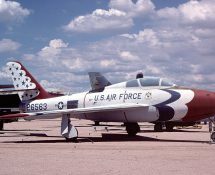 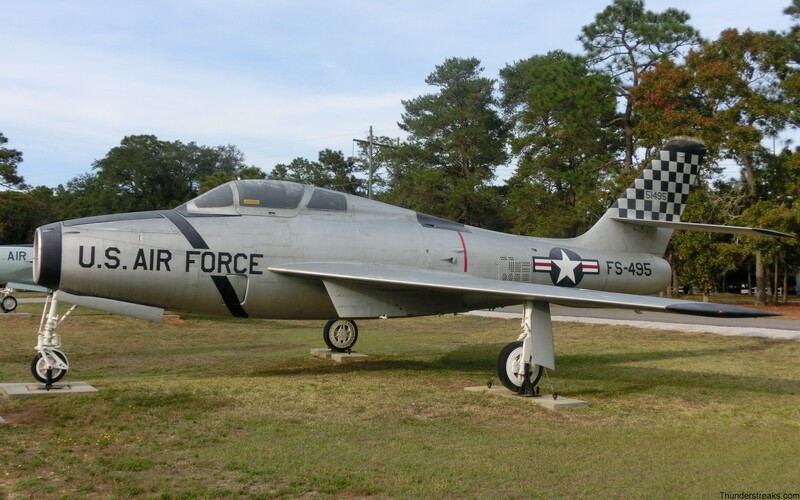 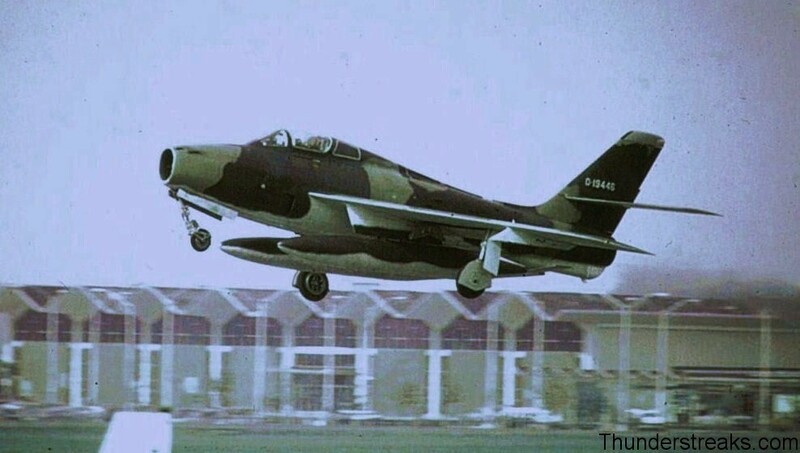 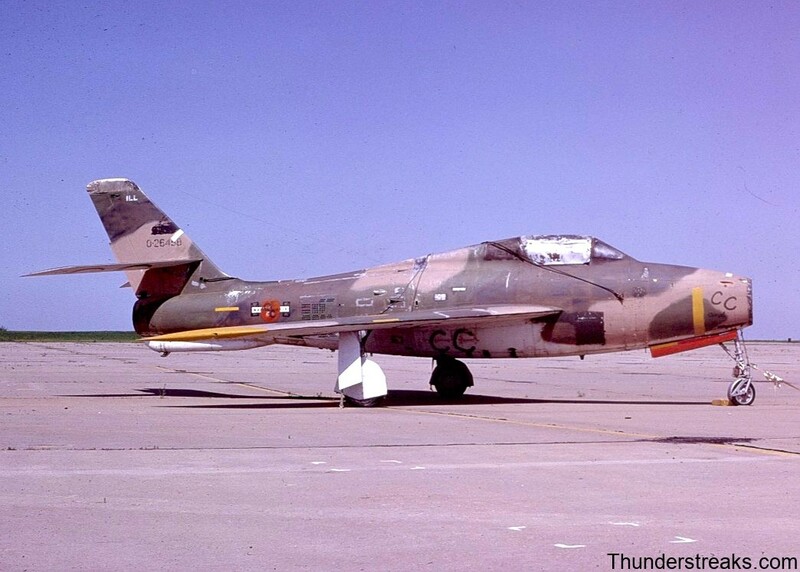 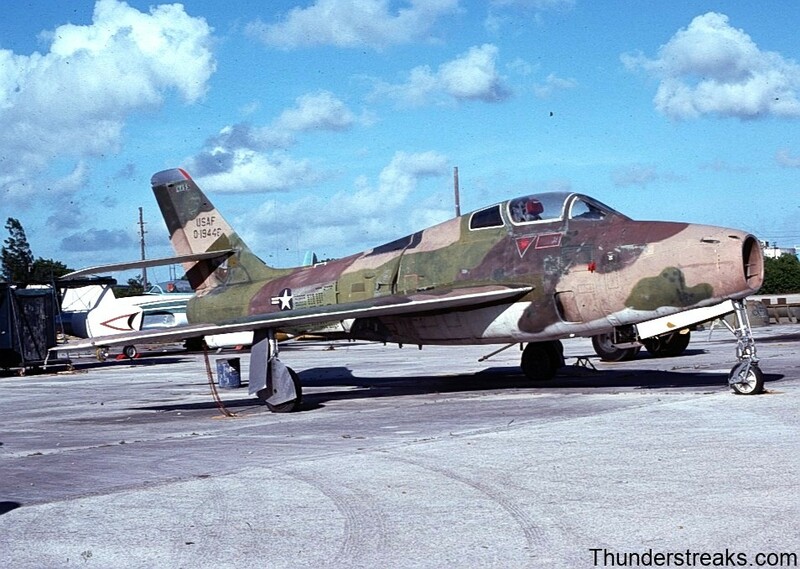 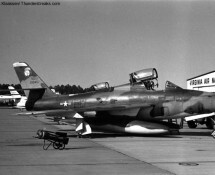 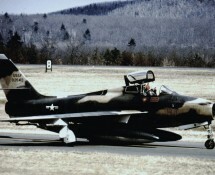 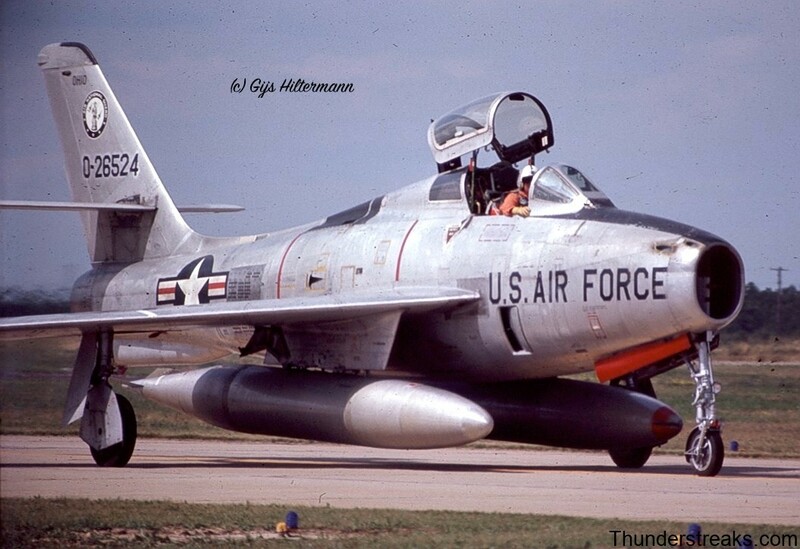 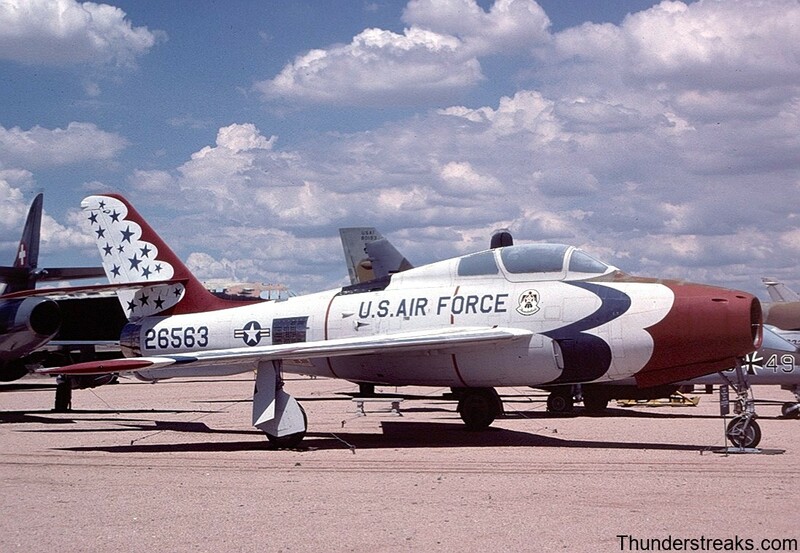 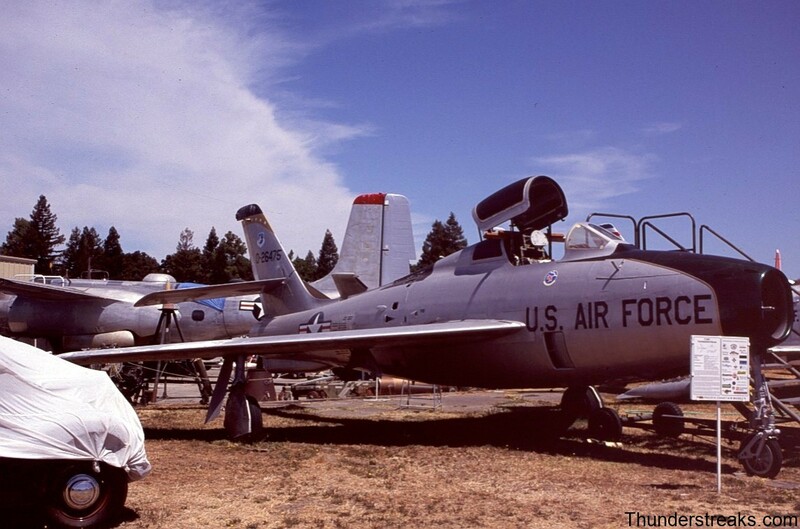 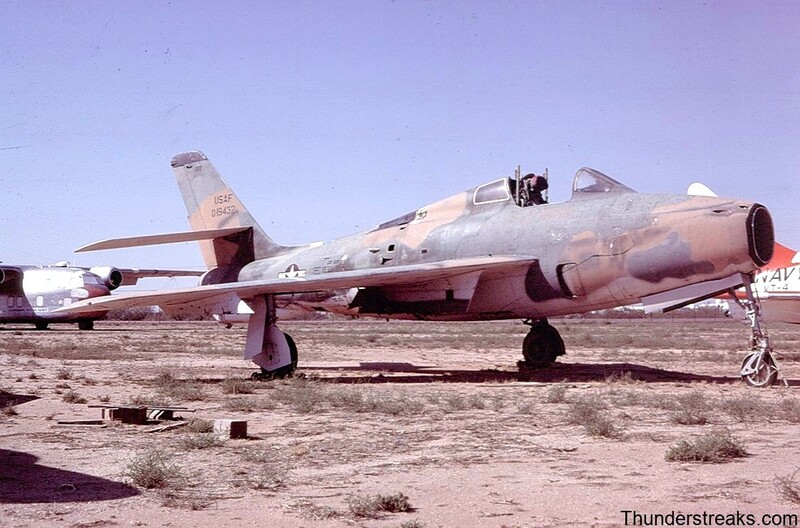 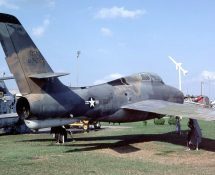 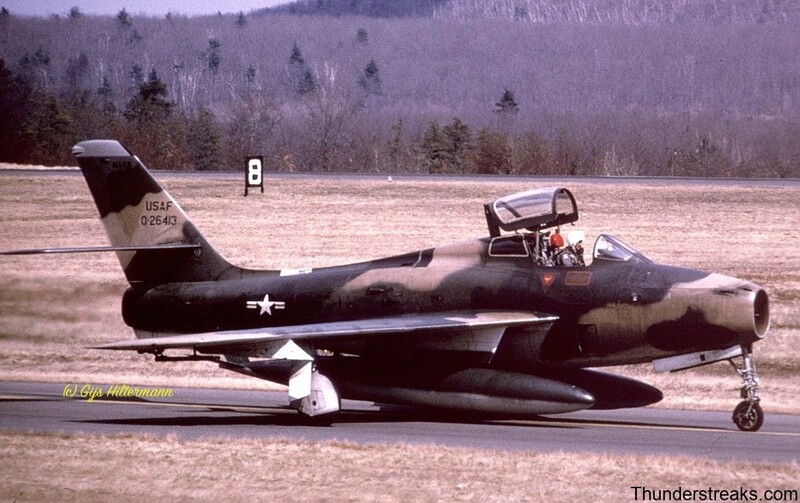 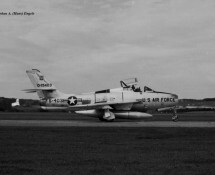 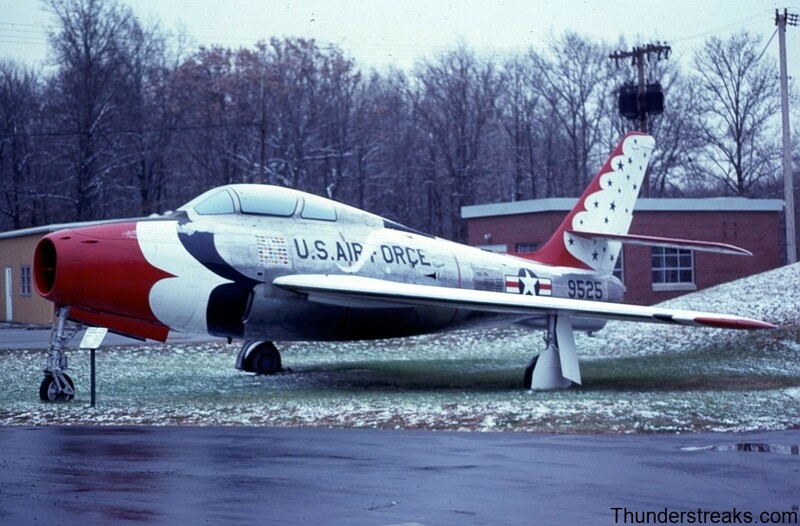 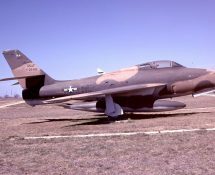 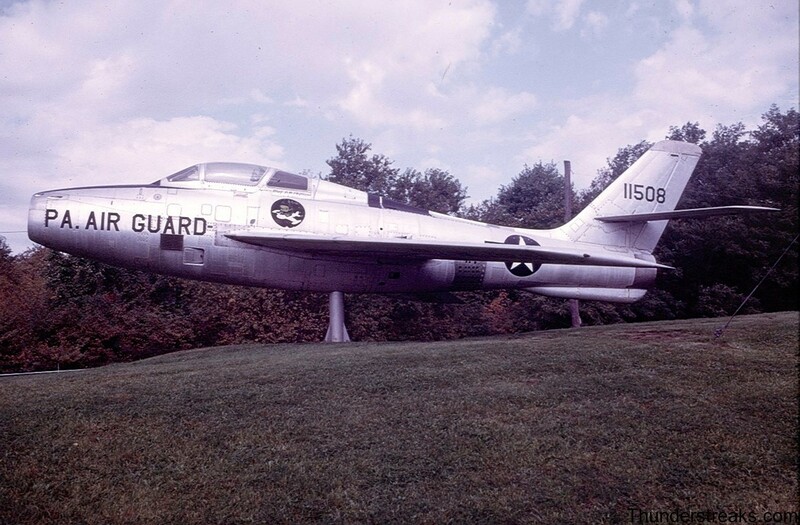 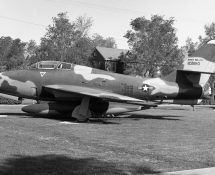 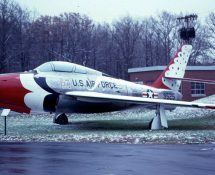 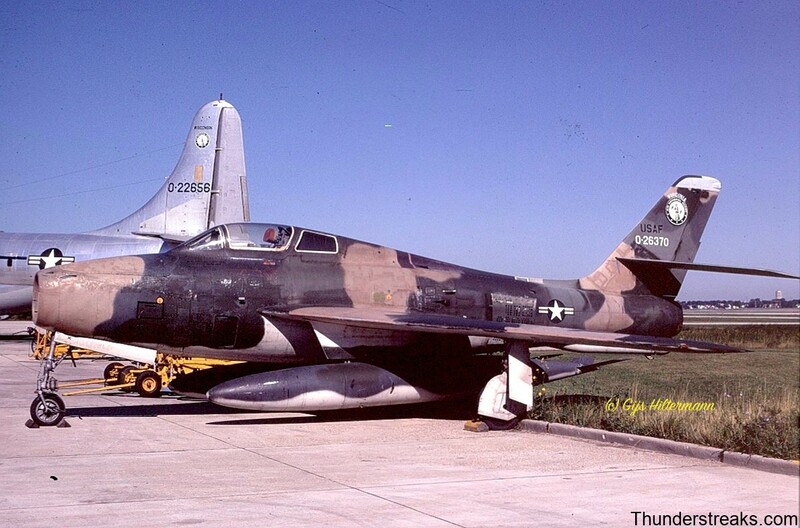 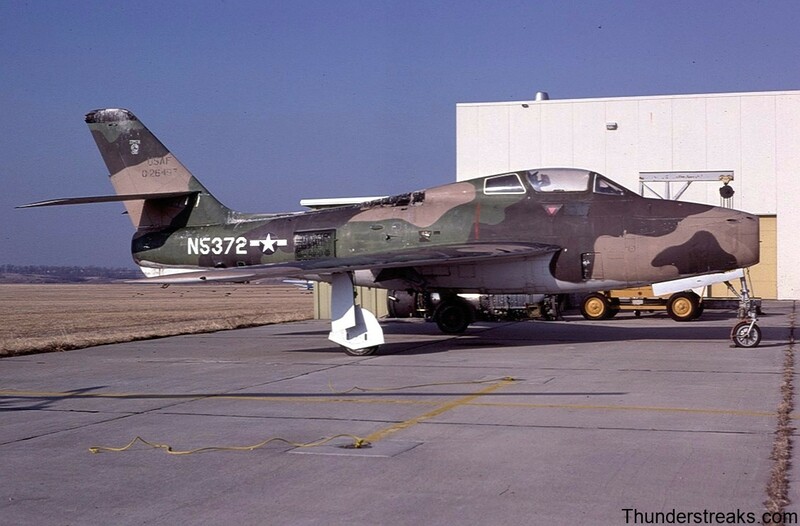 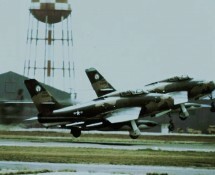 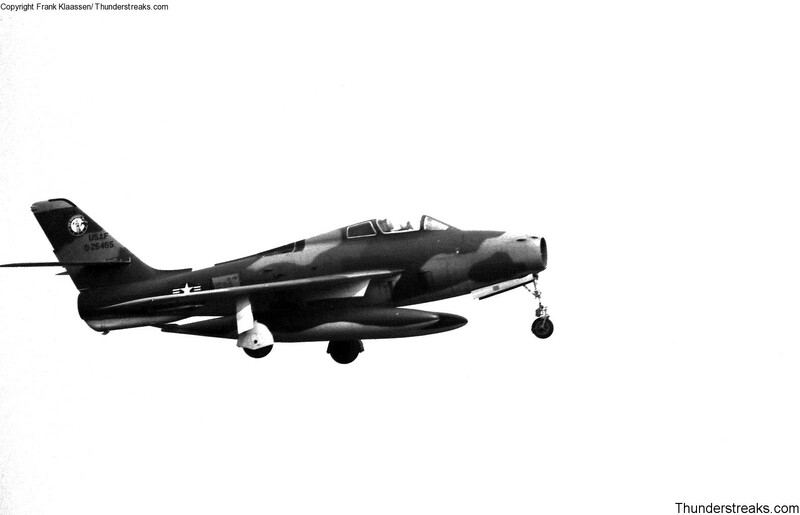 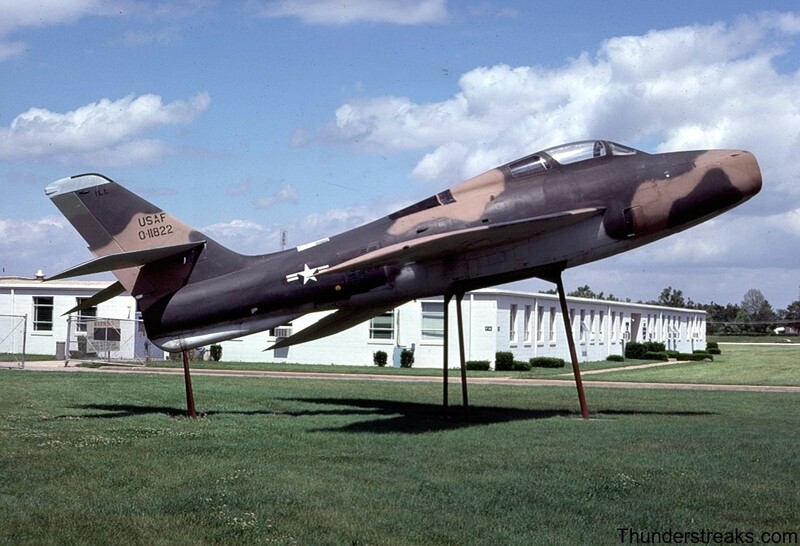 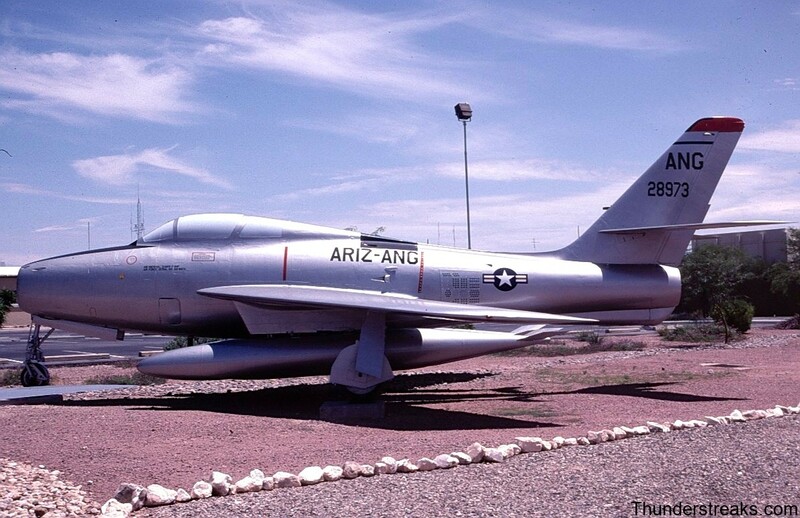 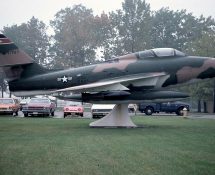 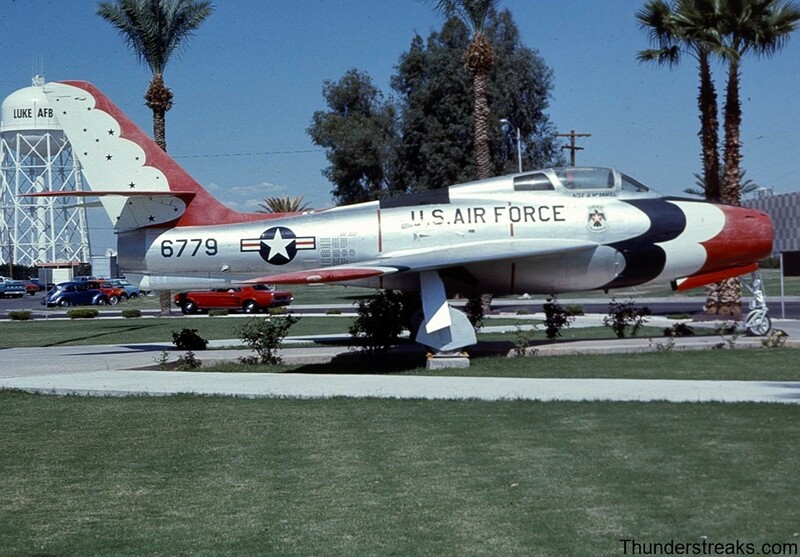 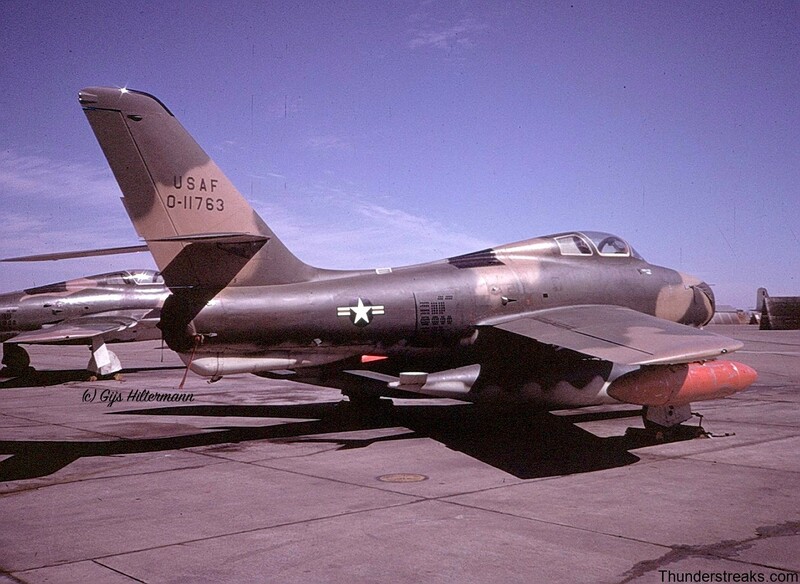 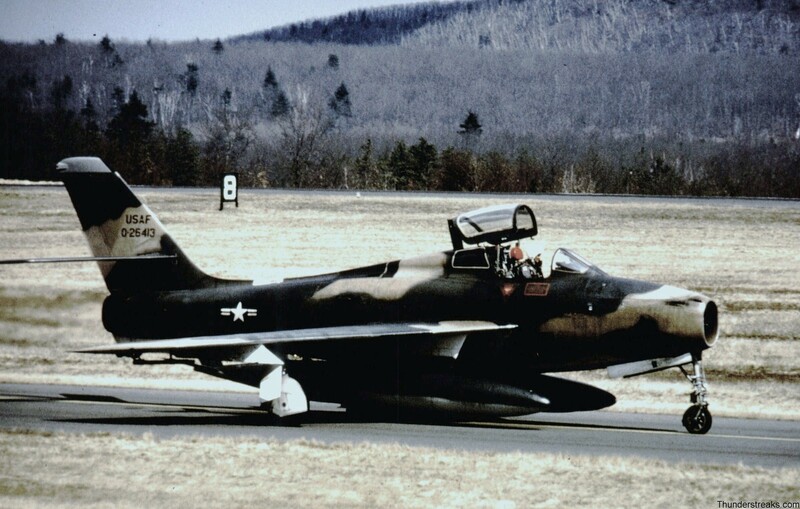 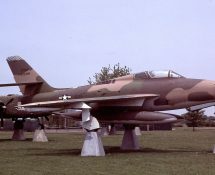 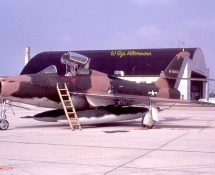 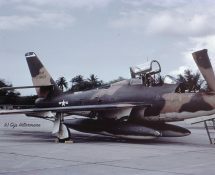 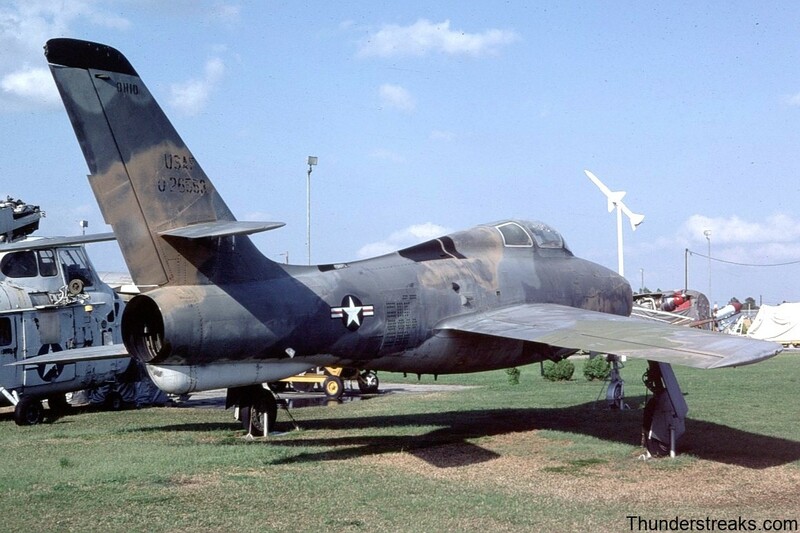 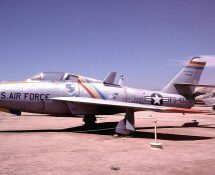 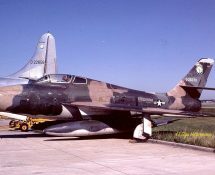 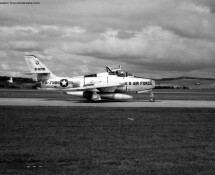 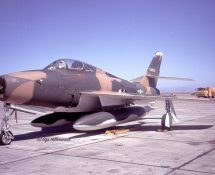 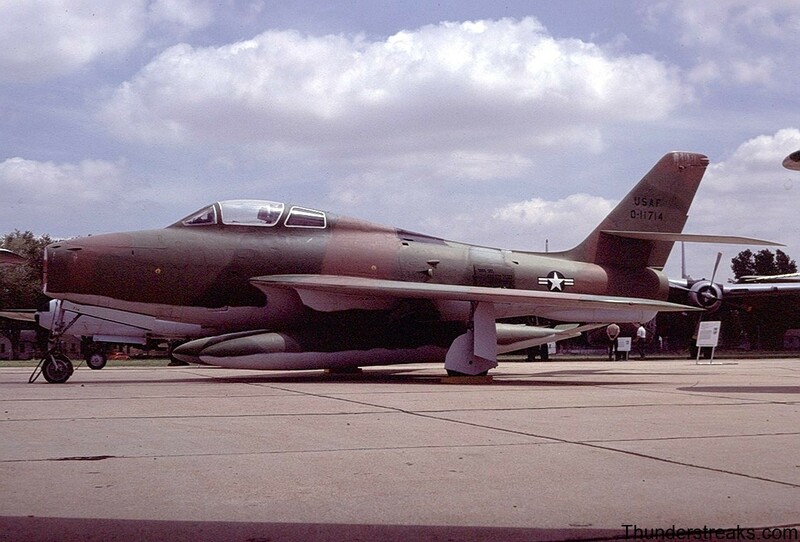 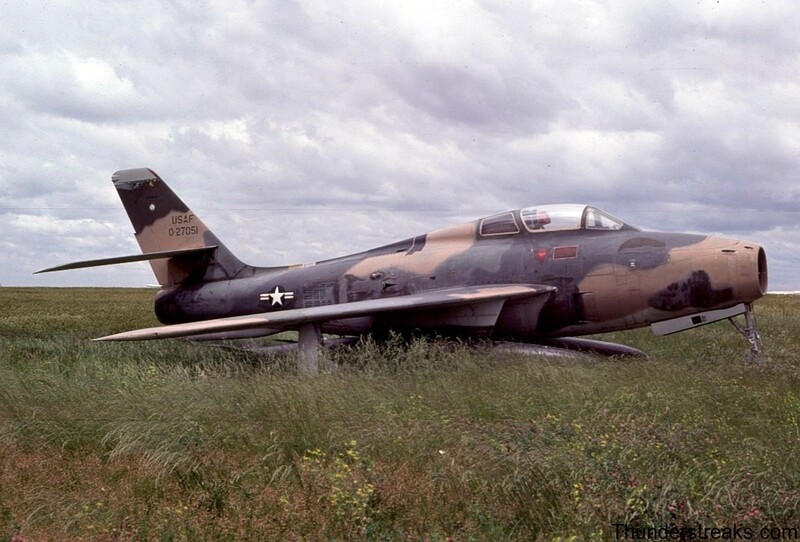 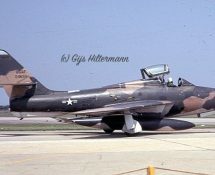 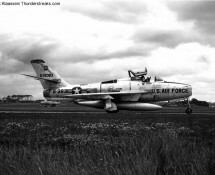 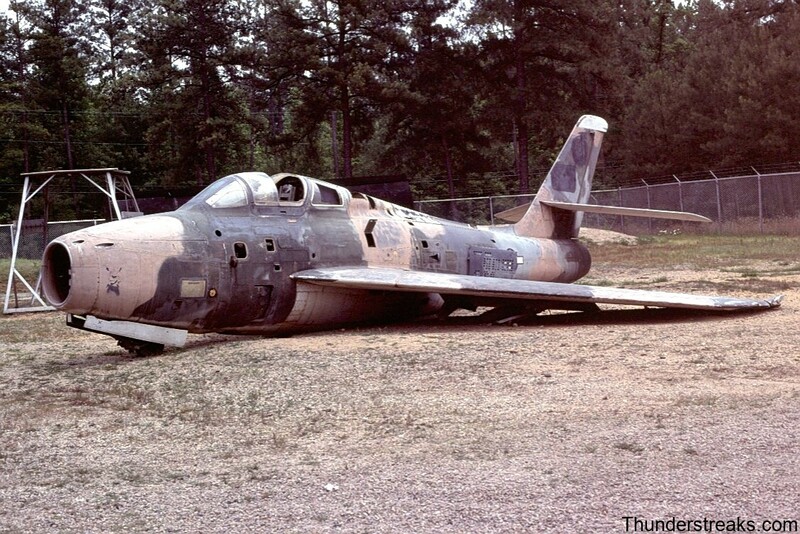 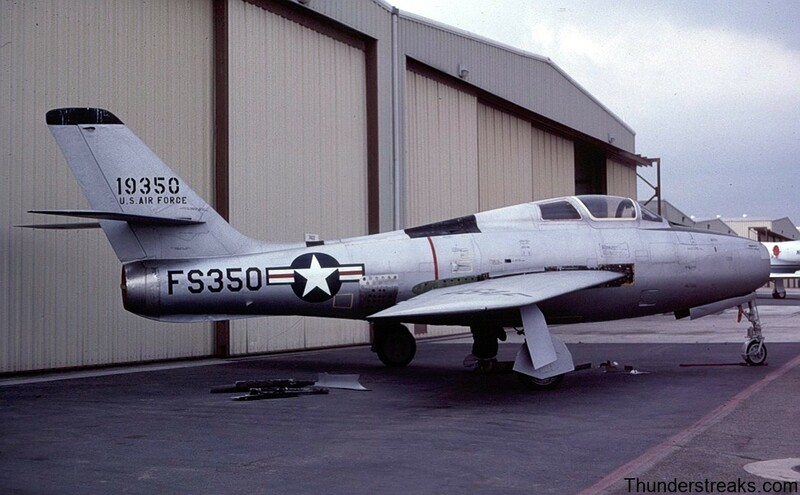 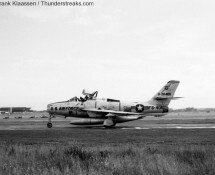 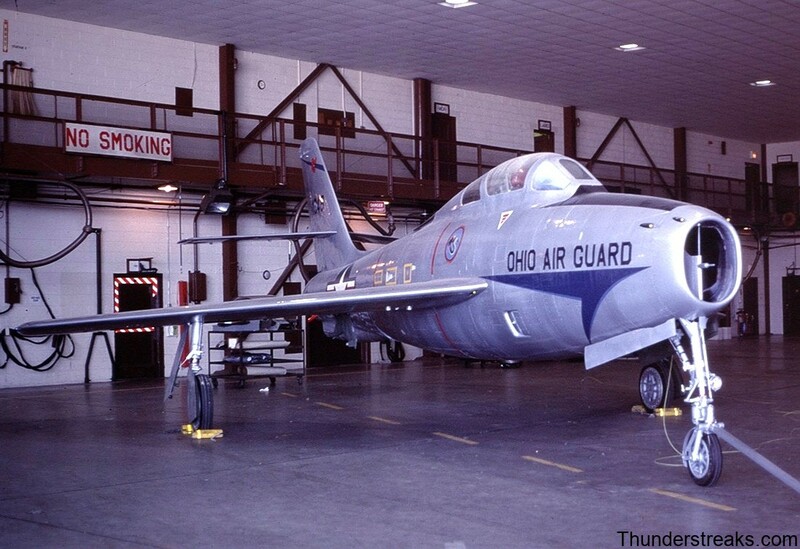 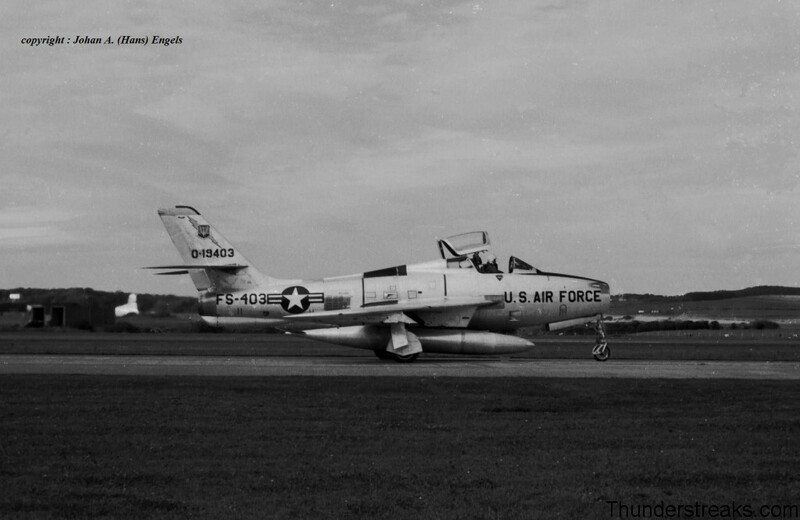 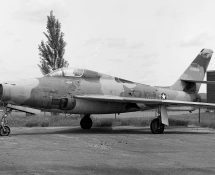 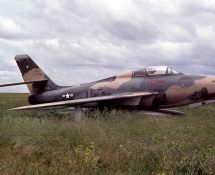 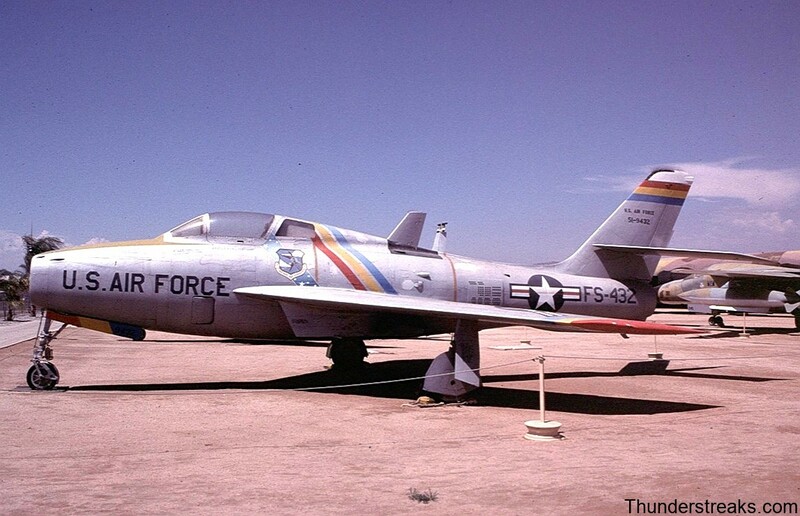 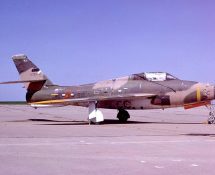 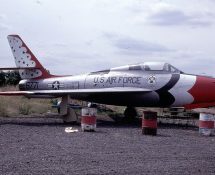 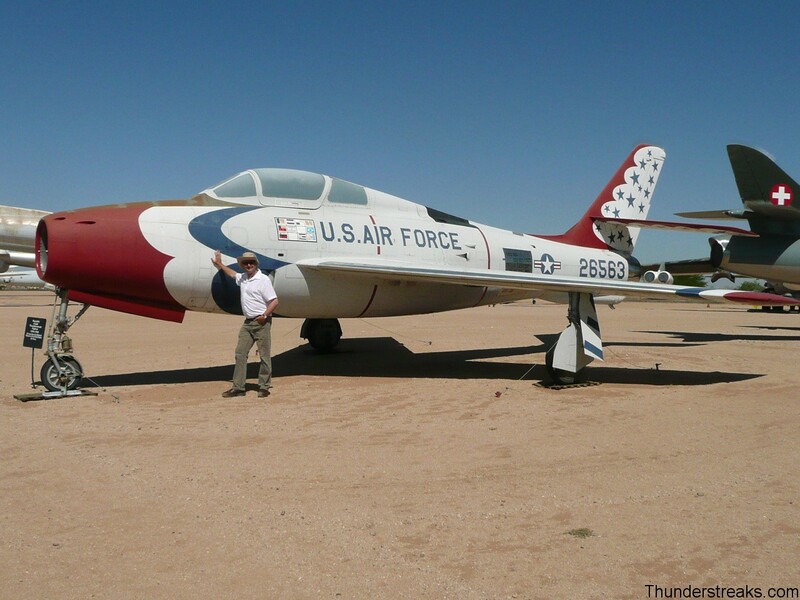 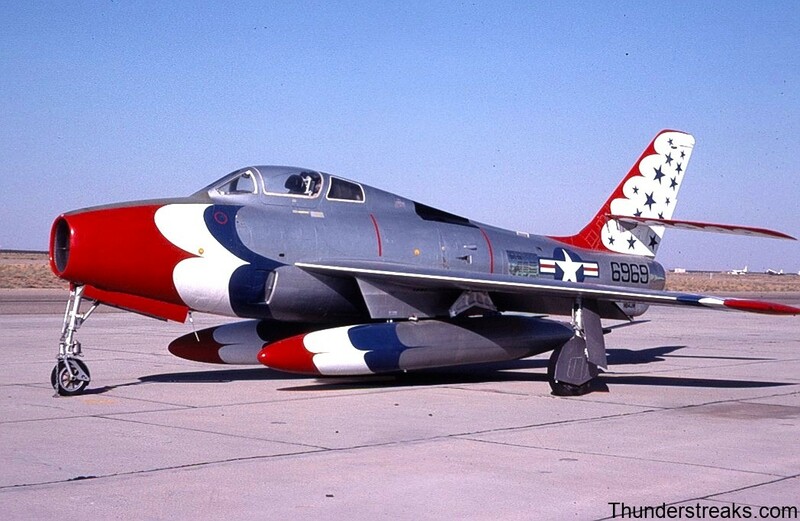 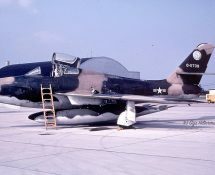 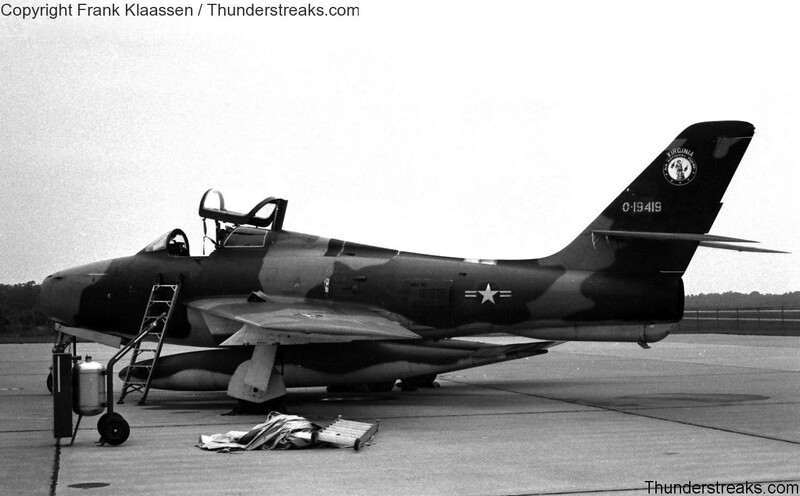 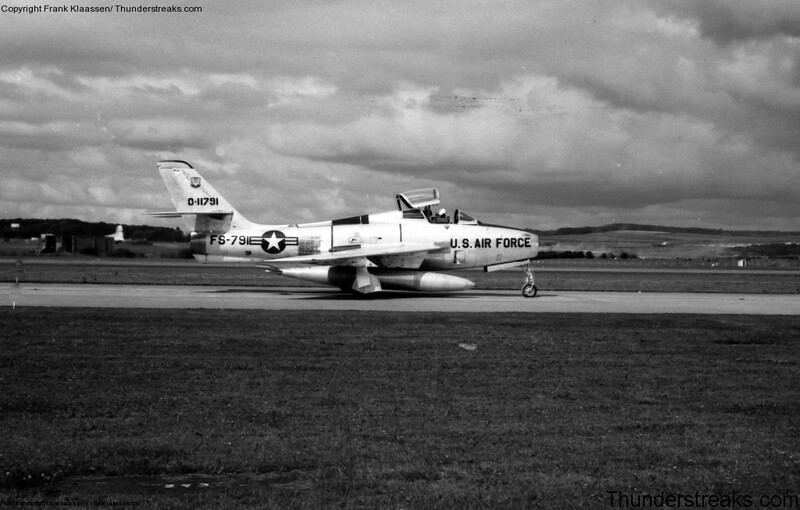 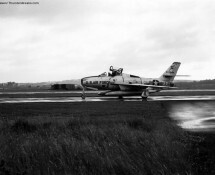 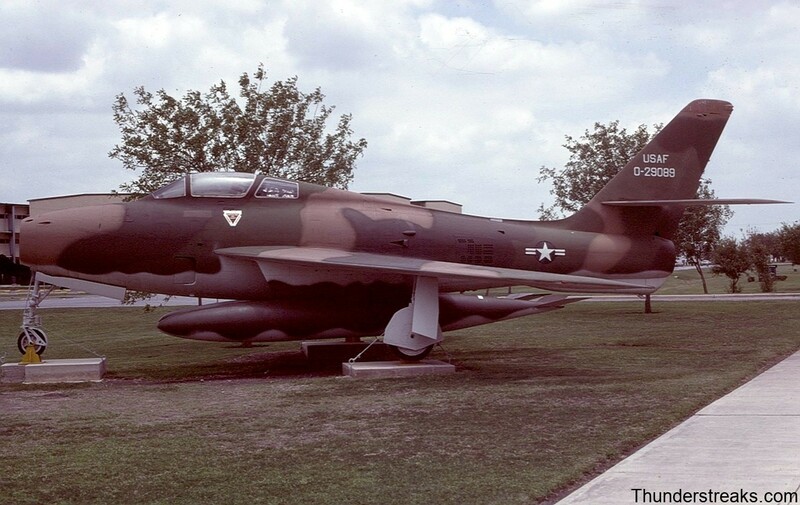 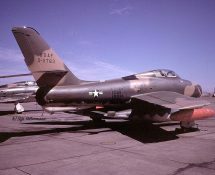 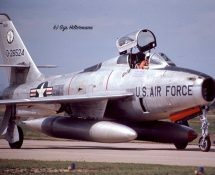 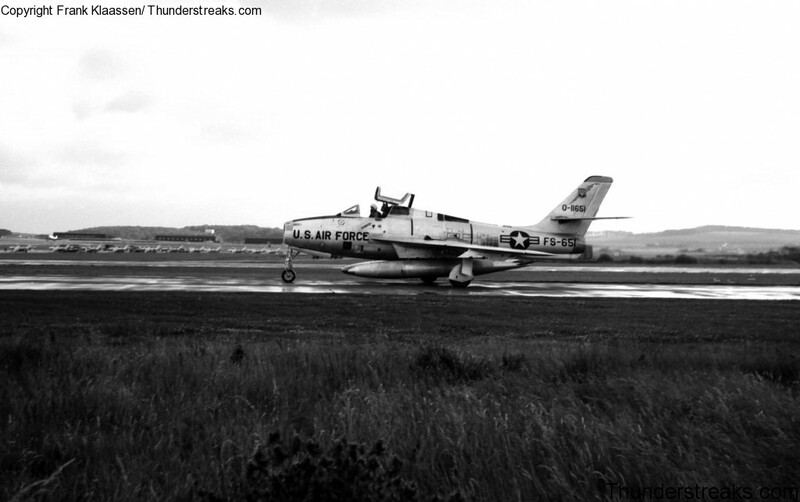 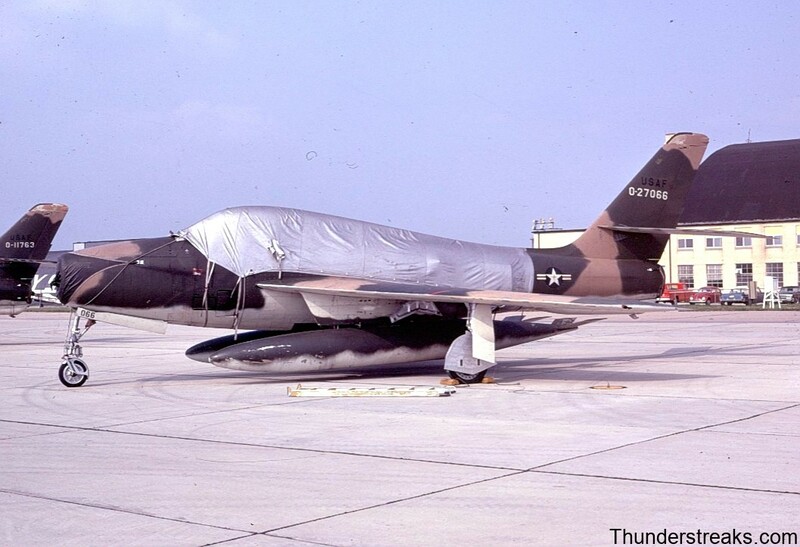 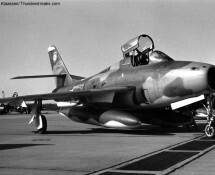 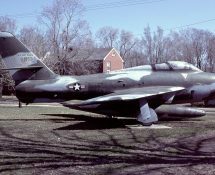 The European- based 20th TFW (Wethersfield, U.K.) and 81st TFW (Bentwaters, U.K.) changed their Thunderstreaks for F-100s in the mid fifties; in the U.S. the Thunderstreaks were passed on to the Air National Guards, where the last ones were phased out in 1972. 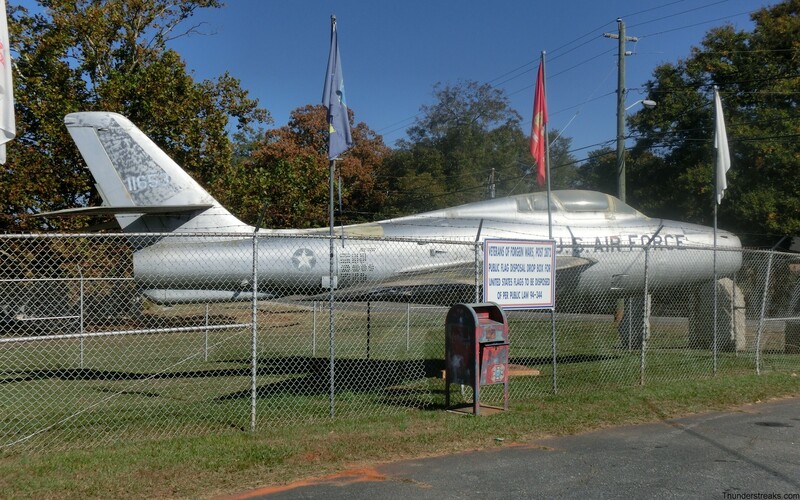 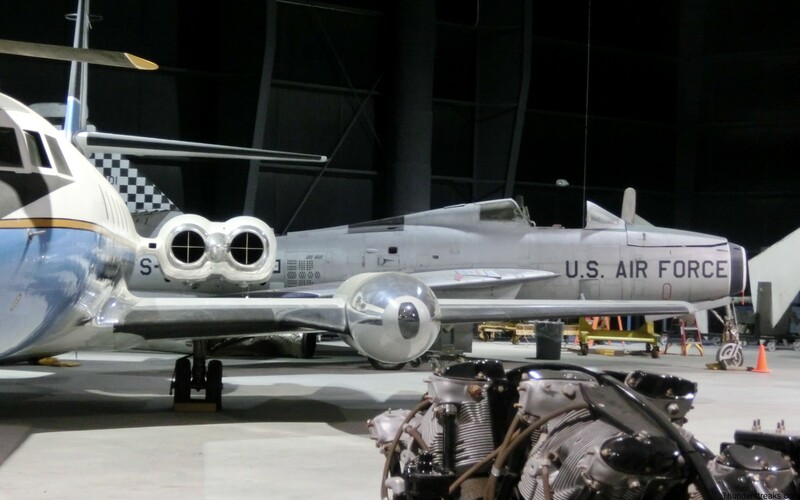 Many pictures in this galery date back to the early sixties, when large numbers of U.S. based aircraft were sent to Europe to assist local forces. 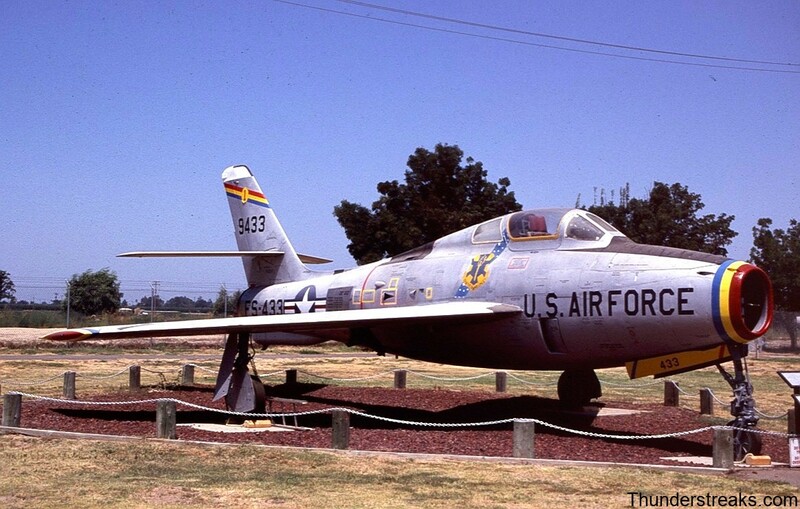 A number of Streaks remain to be be seen in various US museums and cityparks.